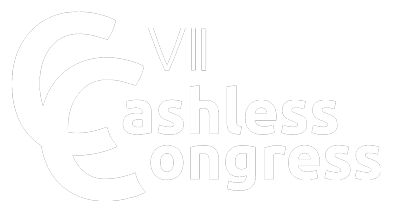 Cashless Congress (dotychczas Międzynarodowy Kongres Płatności Bezgotówkowych) na trwale wpisał się w kalendarz wydarzeń branży płatniczej, umożliwiając spotkanie i merytoryczną dyskusję wszystkim interesariuszom rynku. Fundacja Rozwoju Obrotu Bezgotówkowego (FROB) – inicjator przedsięwzięć mających na celu zwiększanie dynamiki rozwoju obrotu bezgotówkowego w Polsce. Identyfikacja barier rozwoju rynku, szukanie rozwiązań ograniczających bariery oraz proponowanie kierunków zrównoważonego rozwoju to jedne z najważniejszych zadań FROB. Działania podejmowane w obszarach: informacyjno-edukacyjnym, legislacyjnym oraz analitycznym pozwalają wskazywać korzyści dla przedsiębiorców i zrzeszających ich organizacji, administracji rządowej i instytucji nadzoru finansowego, organizacji płatniczych, banków oraz agentów rozliczeniowych. Zdaniem FROB, konsumenci będący użytkownikami elektronicznych instrumentów płatniczych powinni być głównymi beneficjentami korzyści wynikających z rozwoju polskiego rynku płatności bezgotówkowych. 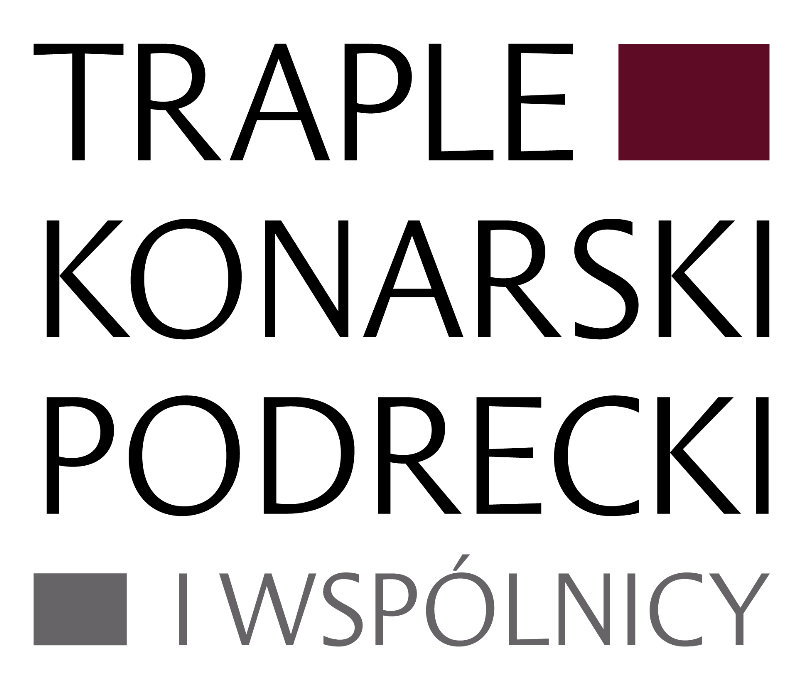 z kancelarii Traple, Konarski, Podrecki i Wspólnicy. wszystkim – napędza rewolucję technologiczną. A „Praktyczny komentarz …..” pozwala łatwiej poruszać się w przepisach. FROB jest wyłącznym dystrybutorem publikacji. (Polski) dr inż. 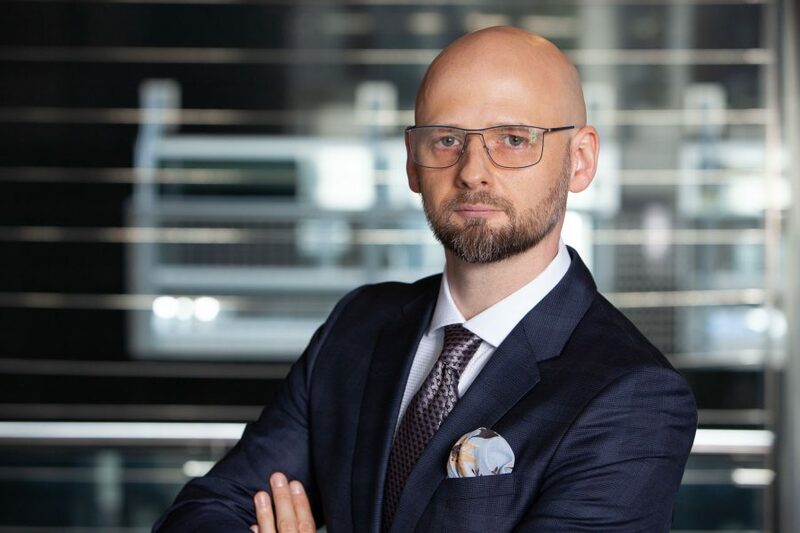 Sebastian Grabowski – Dyrektor IoT i Zawansowanych Technologii Orange Polska, Pełnomocnik Prezesa PIIiT ds. Smart City. 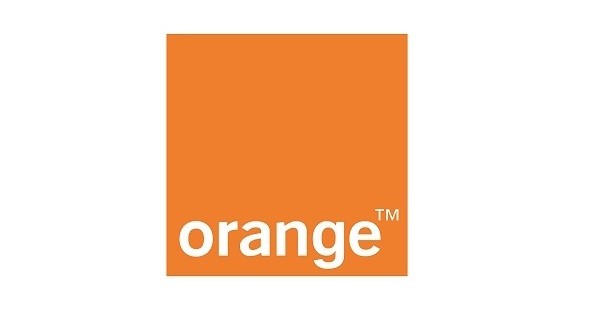 (Polski) Orange Polska S.A., Strategia Korporacyjna i Badania Rynkowe. Piotr Helbich is a graduate of the Warsaw School of Economics and a Master of Law at the University of Bristol (UK). He worked at the Ministry of Transport and Maritime Economy in the Department of European Integration and International Relations. Then he started his banking career. He successfully developed it at Bank Handlowy (Citibank), where he held the position of Product Manager in the Credit Card Marketing Department, Director of the Business Development Department and the Customer Loyalty and Maintenance Department in the Credit Cards Division, and then the Director of the Telesales Department in the Distribution Division. He was responsible for product development, he implemented loyalty programs and strategies for activating and maintaining clients. He also managed telesales of products for individual and business customers. In the bank BPH managed the Card Office. Since August 2014, he has been associated with PKO Bank Polski, where he is the Director of the Card and Payment Office. He is responsible for the creation and implementation of payment strategies, including payment card management, mobile payments, bill payments, and other mass payments for an individual customer. Lawyer. Since 1999, she has been dealing with the protection of consumer rights as the Municipal Consumer Ombudsman in Tarnów. President of the Association of Consumer Ombudsmen. Member of the Council of the Polish Consumer Ombudsmen at the President of UOKiK and Vice Chairman of the Consultative Council for Consumer Protection at the Board of the Małopolska Voivodship. Mediator. Since 2007, he has lectured on consumer law at the Małopolska School of Economics in Tarnow. He specializes in consumer law. Author of expert comments and scientific articles on consumer issues. Co-editor of scientific publications in the field of consumer protection. He is also interested in issues related to consumer behavior and competition protection. Has process experience. Legal adviser and tax advisor, Of ​​Counsel in the Warsaw office of international law firm Squire Patton Boggs, leader of FinTech practice. As part of his practice, he focuses on transaction advisory (M & A, PE / VC) and regulatory in the field of technological innovation, especially in the financial sector and FinTech. He is a member of the Working Group for the Development of Financial Innovations (FinTech) at the Financial Supervision Authority. Co-founder of the FinTech Sector Congress. An enthusiastic discussion moderator and participant of panels at industry conferences. He conducted a number of M & A and private equity and venture capital transactions, including in the loan, FinTech and financial sectors. He advises equity investors and entities from the financial and insurance sector in developing models of cooperation with innovative technology companies (FinTech and InsurTech) and in the field of innovative business models resulting from new regulatory requirements (PSD2, IDD). 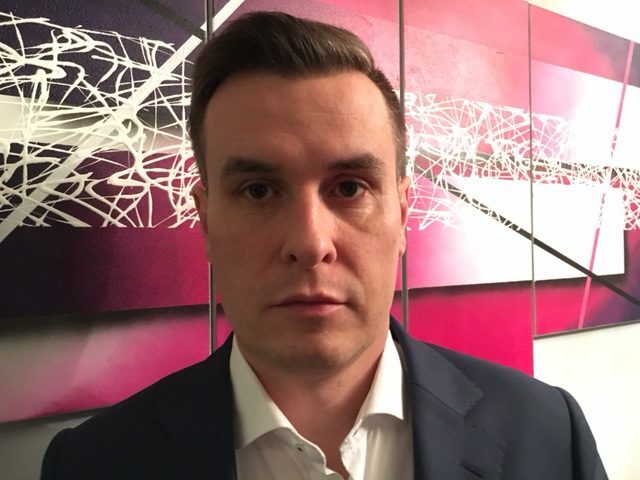 He has extensive experience in introducing international companies from the FinTech and payment services industry to the Polish market, and negotiating investment and joint-venture agreements between investors and participants of the financial market. The financial regulations advise the FinTech sector, loan companies, banks and insurance companies in the field of consumer finance, payment services (PSD2), financial, banking and insurance law (IDD), including preparation and verification of legal documentation that meets the relevant regulatory requirements, and in proceedings before UOKiK and the Financial Ombudsman. In the years 2016-2018 a member of the jury awarding the Loan Magazine Awards. In the years 2013-2016 Member (judge) of the District Disciplinary Court of the District Chamber of Legal Advisors in Warsaw. A graduate of the Faculty of Law and Administration at the University of Warsaw, he completed a course in European and English law at the University of Cambridge. He speaks Polish, English and French. 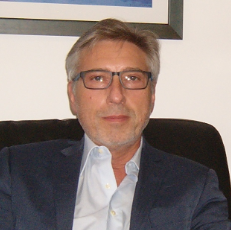 Born in 1957, Filippo Scibilia has more than 35 years of working experience, 20 of which in the field of electronic and digital payments, where he has been gaining significant skills and progressively covering increasingly important roles. Nowadays Scibilia is one of the most well-known C-level executives in the field of payment systems in Italy and Europe. 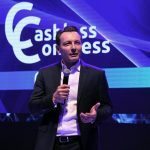 He joined Castles Technology in 2015 as Chief Executive Officer and Founder of Castles Technology Europe, the European Headquarters of the company, based in Milan. Castles Technology is a leading manufacturer of payments systems since 1993. Prior to that, Scibilia has been one of the founders and Managing Director of FlagPay, a private PSP, where he participated in innovative payment projects through a cooperation with PayTipper, a private Payment Institution, in which Scibilia also served as Commercial Director. Over the years, Scibilia has also been covering international roles asRegional Sales Directorin leading POS terminalscompanies, such as Hypercom (2008-2011) and Intellect (2006-2007). In 2005-2006, he was Managing Director at DA-Sistemi Group, the largest Italian manufacturer of POS terminals, with responsibilities for Italy, Germany and The Netherlands. 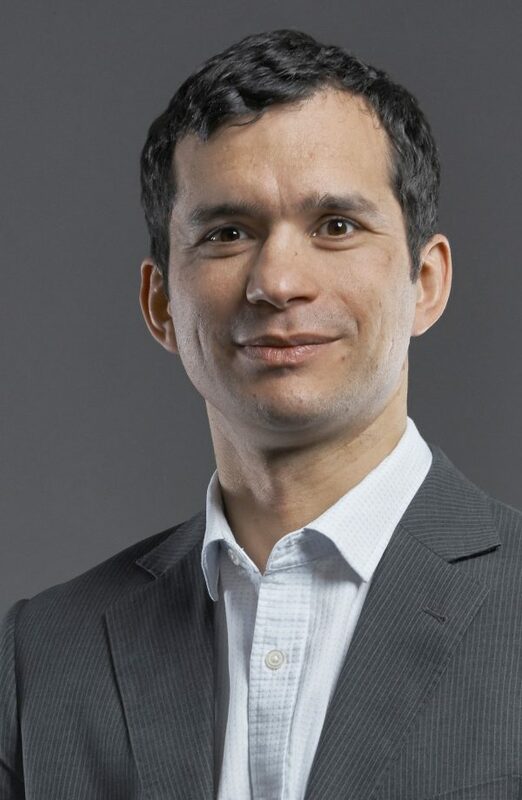 Scibilia has been Founder and CEO of the Qarana Solutions S.p.A (Halogen group) in Italy and part of the management team of Spain and Sweden (2000-2004). He spent 14 years of his career as a Business Unit Director, Technology Practice Manager and Sales Manager at Hewlett-Packard Italiana (1986-2000). A graduate of the Master of Business Administration at the School of Banking in Wrocław. He joined the banking industry in 2008, starting work at BZWBK S.A. in a managerial position. 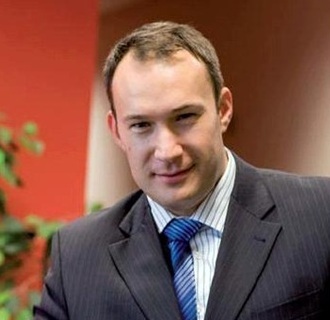 From 2010 he was employed at PKO Bank Polski, first as the Director of the Administration Center, then as the Director of the Network Department. Since June 2015, he has been heading the Administration Division. 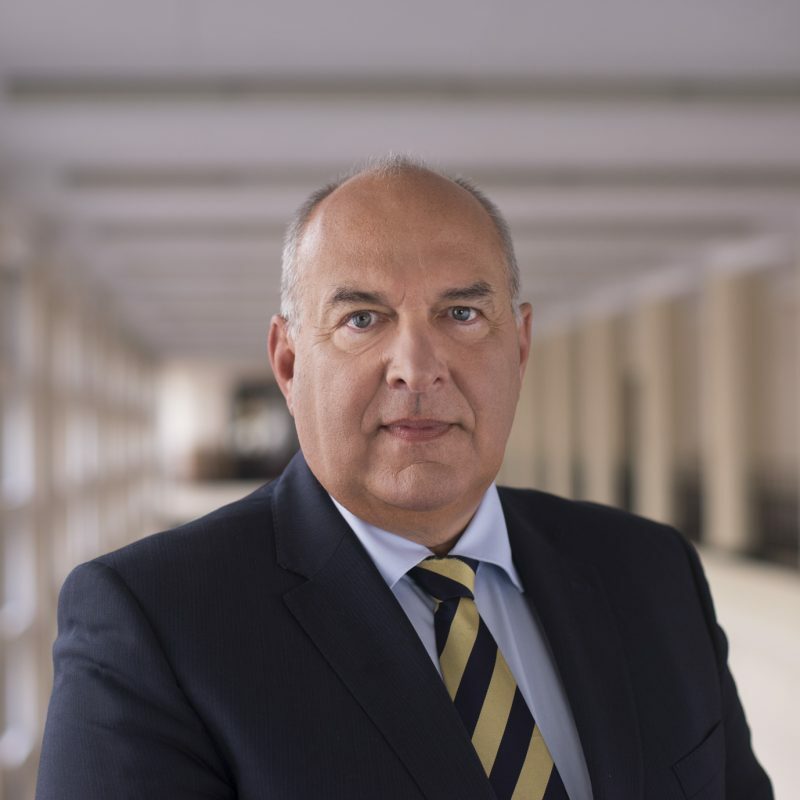 In addition, he is a member of the Supervisory Board of Krajowa Izba Rozliczeniowa and member of the Supervisory Board of PKO Finat, as well as a member of the Supervisory Board of PKO Leasing and PKO Faktoring. Since 2016, the business coordinator of streams in the government program “From paper to digital Poland” operating under the “Plan for Responsible Development” implemented by the Ministry of Development. During his professional career he dealt with the management of the Bank’s real estate and branch network, modernization of outlets, ensuring the development, modernization and efficiency of branches and self-service devices. She is responsible for the department of payment cards acceptance development and for contacts with retailers, acquirers, local governments and public administration. Kamila joined the company in 2000 as Technology Account Manager. Later, as Senior Account Manager, she was responsible for business development and cooperation with most Polish banks. She has also participated in the introduction of World Mastercard cards and in the development of the World Mastercard Rewards loyalty program. 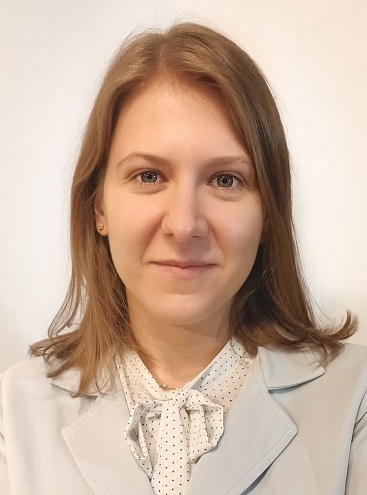 Prior to joining Mastercard, she worked for Bank Pekao S. A. and Invest Bank S. A.
Kamila is a graduate of economics at the University of Economics in Szczecin. She is active in supporting women in business, including being a leader in the global Mastercard Women Leadership Network program. Vice-president of Cashless Poland, Adjunct Professor at the Faculty of Law and Administration at the University of Warsaw. 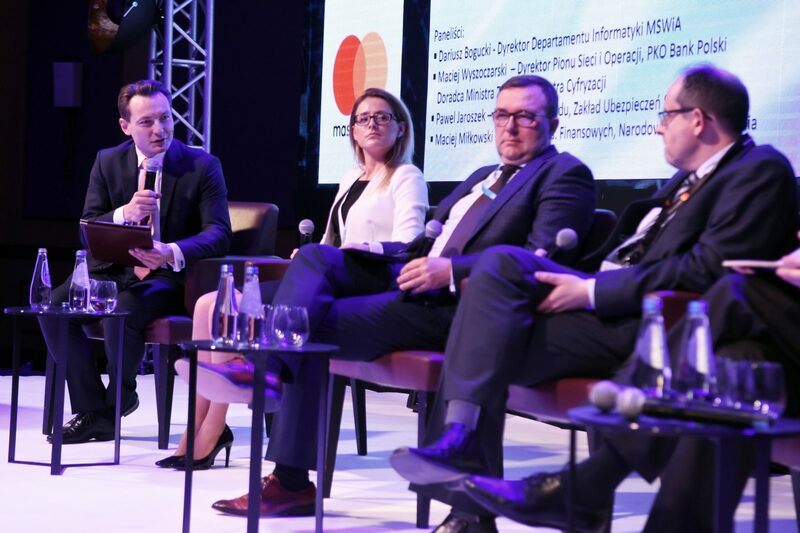 Previously, he was the director of the Payment Systems and Electronic Banking Team at the Polish Bank Association, a member of the Board of the European Payments Council and a member of the Payment Committee of the European Banking Federation. A graduate of the Faculty of Law and Administration at the University of Warsaw and the Leadership Academy for Poland program. 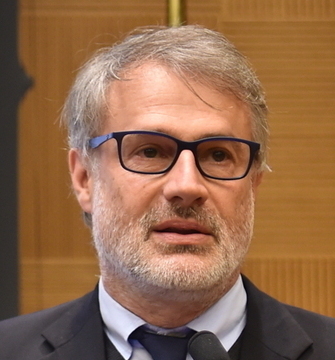 Federico was born in Padua in 1963, he got a scientific degree at the University of Padua and then started working in different fields, from the pharmacy sector to services to enterprises and informatics. 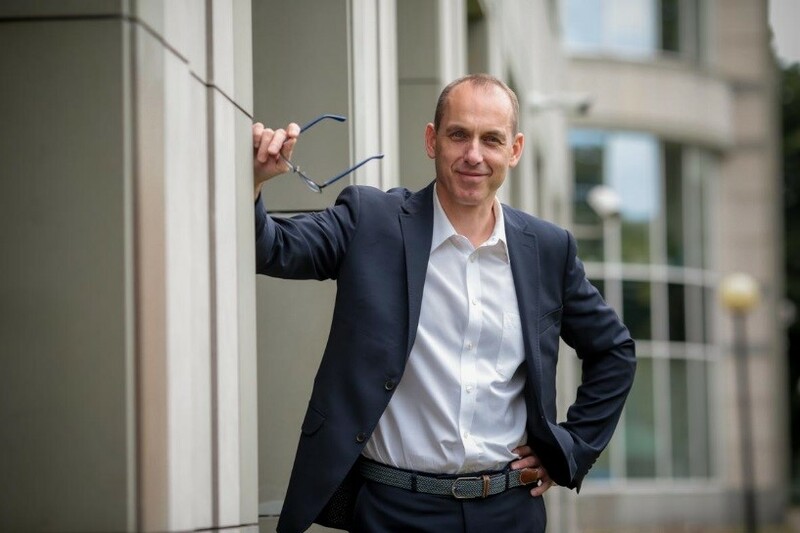 Those working experiences enabled him to become, in a very short time, the Chief Executive of a company in Bolzano, where his career as a manager began. Thanks to his two-year working experience in Argentea at the beginning of the 2000s, he was asked to become its CEO in 2012 in order for him to become the new driving force of the company, 30 years later since it was founded. Thanks to the expertise acquired during these years, he has a very deep knowledge of the payments sector, particularly of PSPs. At present he is the CEO of Argentea Srl, as well as Director of the International Development and President of the newco Argentea sp. z o. o. Economic psychologist (business), manager and expert in the areas of strategic communication and marketing, public relations, relationship marketing, value-added services and innovation. He gained experience on the telecommunications and financial market. For over a dozen years as an expert and manager he cooperated with the largest European telecommunications groups both in Poland and abroad. During this time, he ran projects in the field of relationship marketing and loyalty and innovation (regarding inter-area solutions such as: financial services and NFC.). He also participated in international projects within the Orange and Deutsche Telekom groups. As an independent consultant, he supported companies from the following industries: financial, telecommunications, professional services for business and organizers of social campaigns. He joined the eService team year ago. 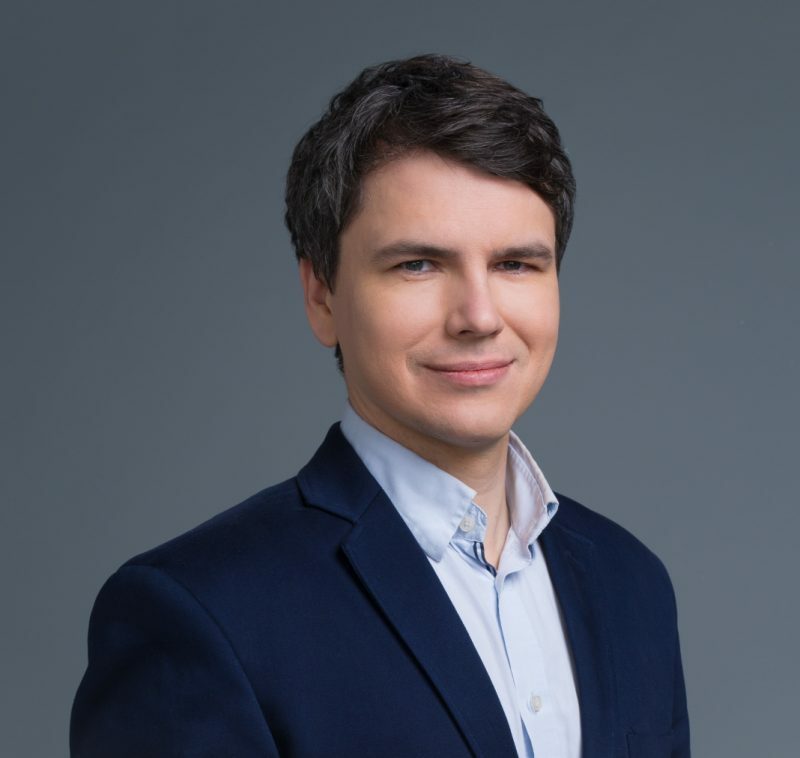 He initiated the research on Poles’ Attitudes towards Payment Forms and is one of the authors of the concept of bezgotowki.pl sales platform, and then the market implementation of this solution. For more than ten years he has been working as a lecturer with the most prestigious universities in Poland (including the Faculty of Psychology of the University of Warsaw, SWPS University). He writes a doctorate on the impact of competition on economic decisions. Emerging transaction technology expert (fintech/govtech) with years of experience in technology risk management and telecom infrastructure: IP connectivity development across European market, telecom software engineering projects management, international market expansion and critical infrastructure security analysis. Since January 2014, Member of the Management Board supervising theFinance and Realization of Income Division for ensuring the financial liquidity of the Social Insurance Fund and managing the assets of the Demographic Reserve Fund. The titular auditor of the ISSA Control Committee and the vice-chairman of the ISSA Technical Committee on the collection of social security contributions, as well as the Chairman of the Steering Committee within the framework of the European ISSA Network (IEN). Responsible for the implementation of the e-contribution project at ZUS. He started his professional career at the Treasury Department of Bank Energetyki SA. He joined the Social Insurance Institution in 1999, initially as the Head of the Unit, then he took the position of Deputy Director and Director of the Department. During 2008-2010, Member of the Management Board of the National Capital Fund SA. A specialist in finance. He holds economics and law degrees. He has also completed postgraduate managerial and financial studies in theareaof financial and management accounting. PhD student in the Doctoral Program in Management and Economics at the Warsaw School of Economics. Has been associated with the company since 2004. Started as a director of the Department of Finance and Accounting and then Managing Director of the business and operations division. 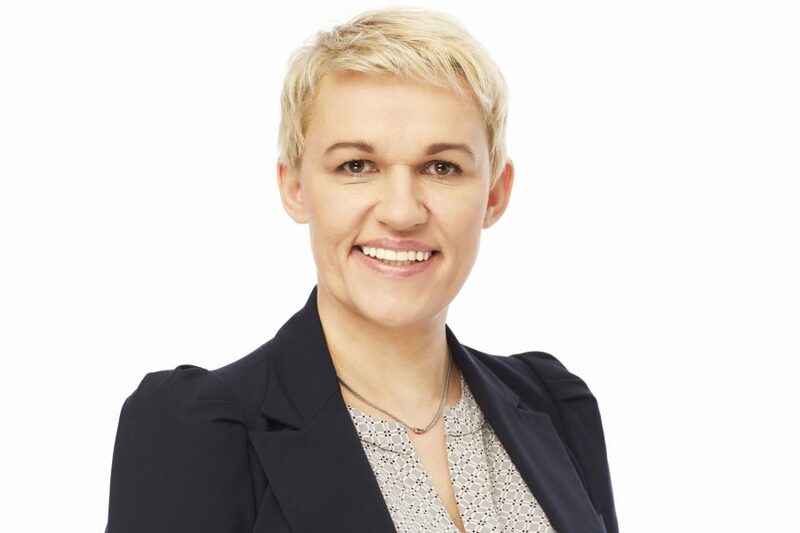 After seven years of work in the company’s structures, in 2011 Joanna Seklecka became the Vice President of the Management Board of eService SA, belonging to the PKO Bank Polski Group. 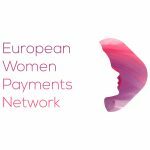 In this position, she was responsible for the business and financial aspects of eService, leading the company to become the market leader in processing non-cash payments in Poland. In 2014, co-ordinated the transformation of the company, combined with the entry into the international group EVO Payments International. 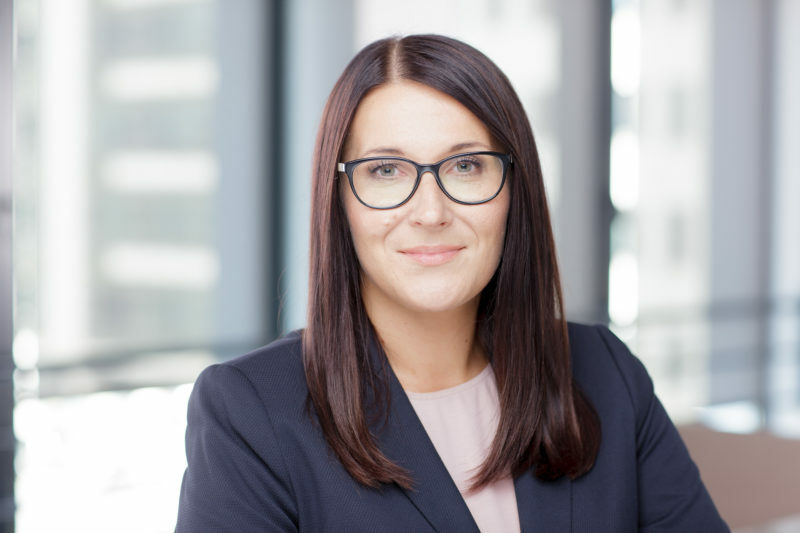 In the same year, while remaining on the position of Vice President of the Management Board of eService, she also assumed the position of General Manager for Poland in the EVO Payments International Group. From October 2017 he is responsible for the entire CEE area (Central, Eastern Europe). She was awarded the title of Expert of Fintech in 2017 by the organizers of the campaign “Known Experts”. Joanna Seklecka is a graduate of the elite Stanford Executive Program, run by Stanford University and directed to the most experienced managers, Finance and Banking at the Warsaw School of Economics and Doctoral Studies in Management. Previously worked in the fields of computer games, consultancy and auditing. She likes spending time with her closest friends, most willing to ski – both traditional and aquatic. President of the Management Board in the Polish Payment Standard. 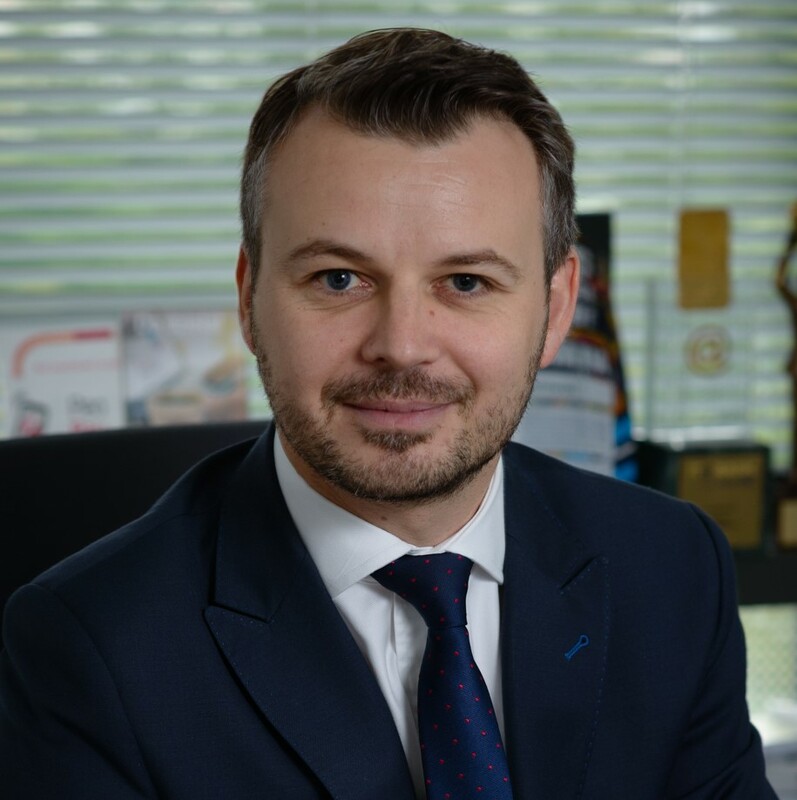 Mr Mazurkiewicz was previously the Vice President of the Management Board at PPS, and formerly the Director of the Product Development Department. 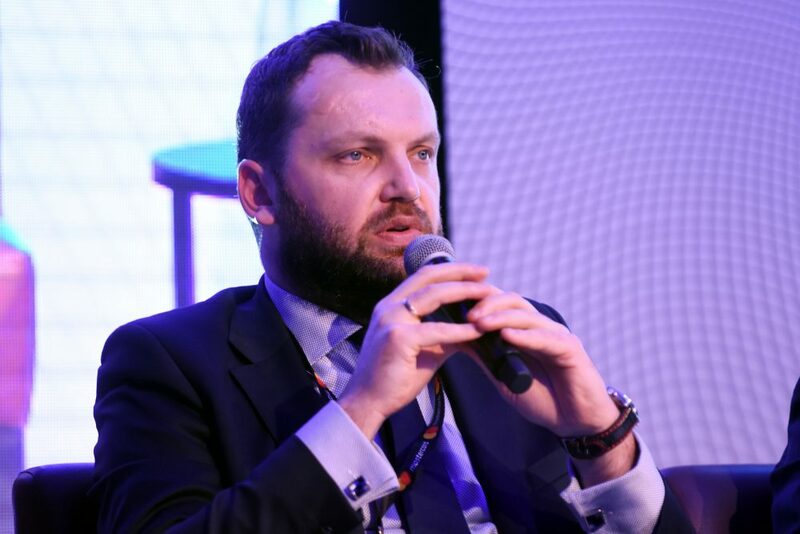 Between 2010 and 2014, he was the President of the Management Board of SkyCash Poland SA, where he developed SkyCash – an innovative mobile payment service. 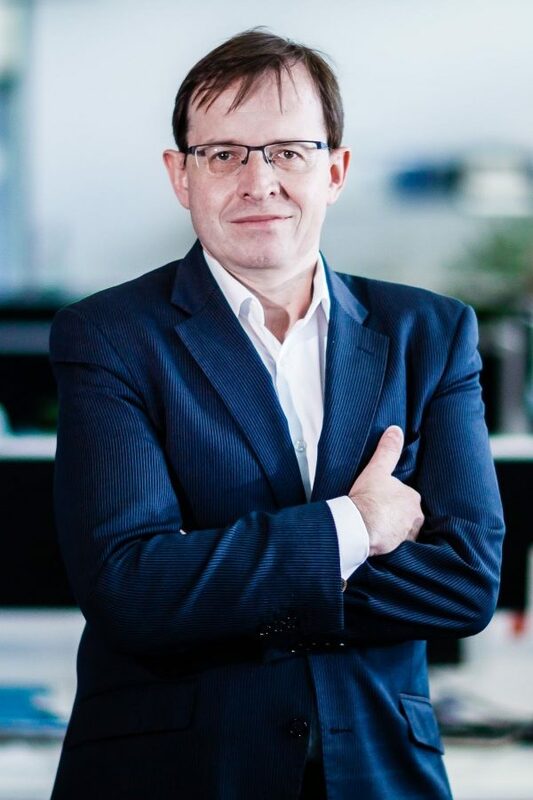 Between 2008 and 2010 he was the President of the Management Board at Bauer-Weltbild Media, developing multichannel sales in their media segment. Between 2006 and 2008 he was the Vice Chairman of the Management Board and the Financial Director at Interia.pl SA in Cracow. From 2002 to 2006, he worked in finance holding positions such as Management Controller and Finance Director at the headquarters of the Michelin Group in France. 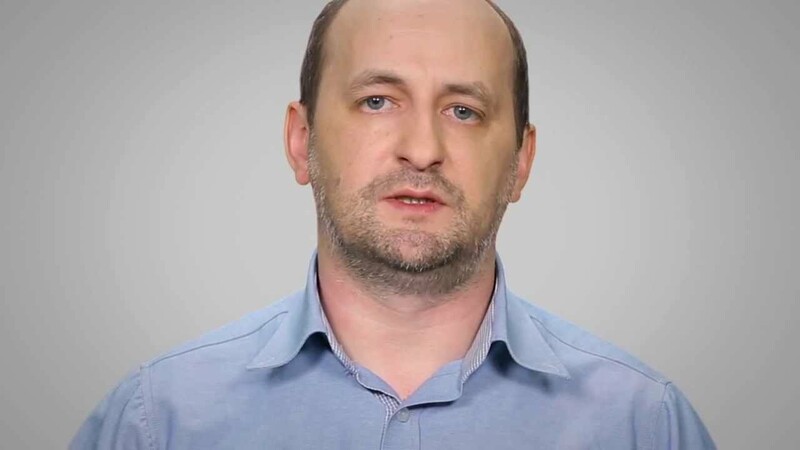 He is a graduated with a degree in financial management at the University of Economics in Katowice and the Silesian International School of Economics. He has experience in the field of corporate finance, e-commerce and direct marketing. Responsible for carrying out legislative works on the regulation of domestic and EU law, the payment services market, electronic money, as well as the issues of new technologies in financial services. He also deals with the legal and economic aspects of the development of non-cash transactions. He co-created a bill implementing the Payment Services Directive (PSD) to the Polish law and the so-called the second electronic money directive (EMD2). 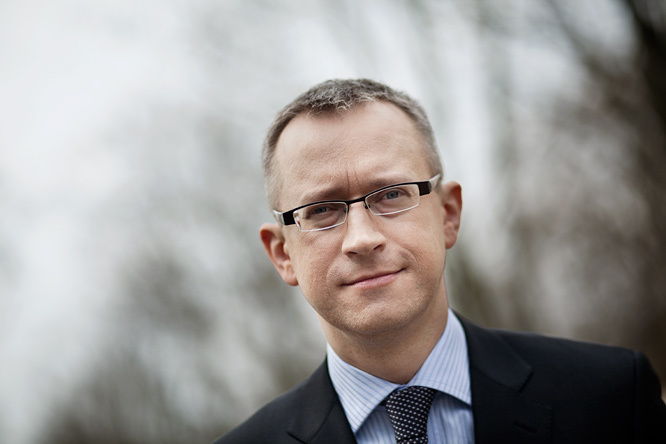 He is responsible for implementing the second Payment Services Directive (PSD2) into national law. Participant of expert groups at the European Commission and the Council in the field of harmonization of EU law in the area of the payment services market. Doctor of Economics at the Warsaw School of Economics. Author of numerous scientific publications. In recent years president or member of several supervisory boards, including financial institutions: Bank Ochrony Środowiska, TiUR Warta, TFI Skarbiec, PTE Skarbiec, PTP KB. Vice Chairman of the Polish Leasing Association. Chairman of the Energy Conservation Foundation. In 1993 leader of the team preparing the Financial Restructuring (banks and enterprises) Act. Fluent in German, Russian and English. 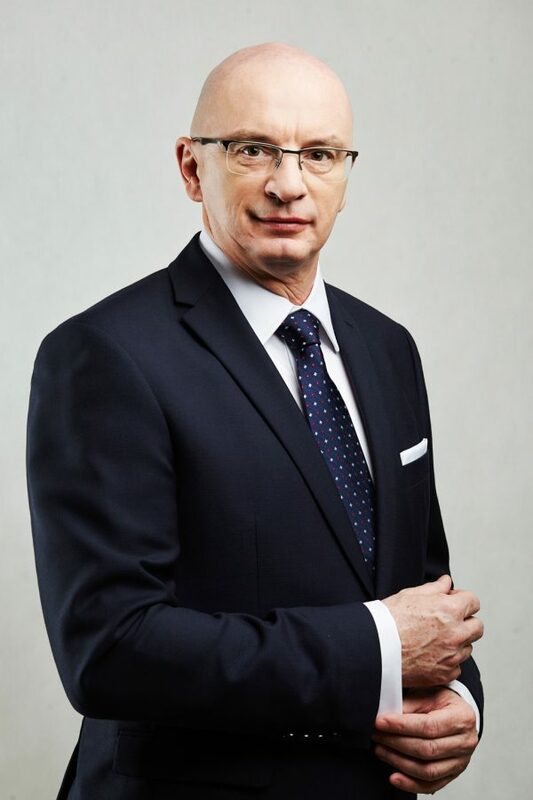 Rafał Gołębiewski, is a widely recognized expert in Polish market in managing international corporations. Currently he holds Managing Director positon at Elavon Financial Services in Poland. 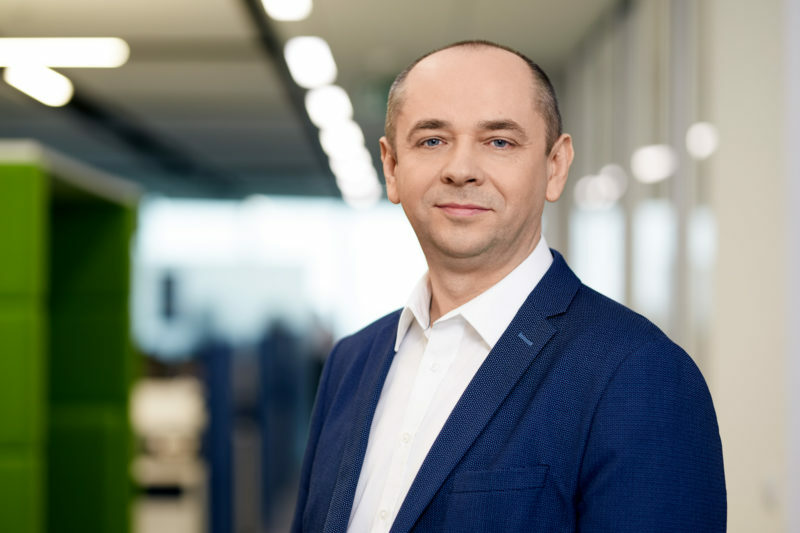 Since 2011 he has been responsible for sales and financial activity of the Polish subsidiary of Elavon, which is one of the biggest global corporations in the card payment industry. In a three-year period, the 600-employee Polish branch of Elavon supervised by Rafał, has tripled its revenue. As a natural and highly motivated leader, Rafał, together with his management team, has won and serviced over 20 000 customers to date. Being both disciplined and ambitious in setting personal goals, he influences others using his energy, creativity and dedication to work. He is a visionary in business strategy consistently expanding the business potentials. His insight into the specifics of the organization and customers’ needs results in robust success of his projects. He has extensive experience in change management and business restructuring. 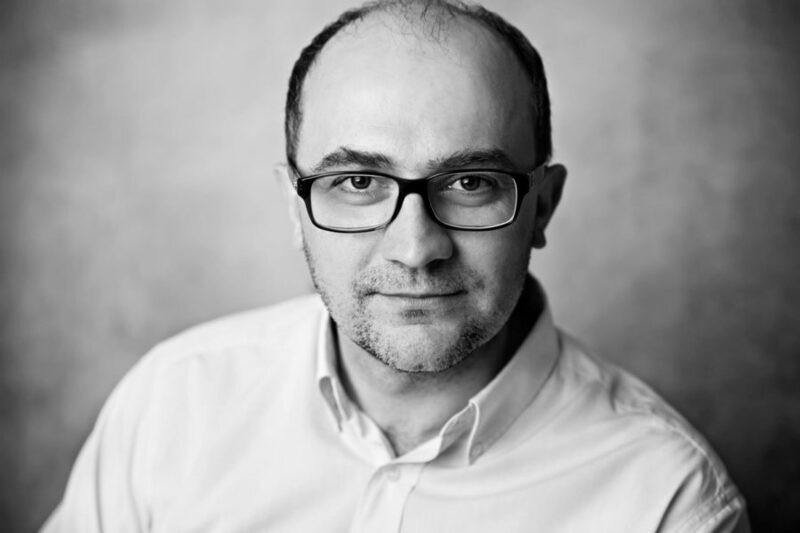 For over 25 years Rafal has been engaged in the European financial and payment industry. Evidenced by his success Rafal has experience in preparation and implementation of business strategies. 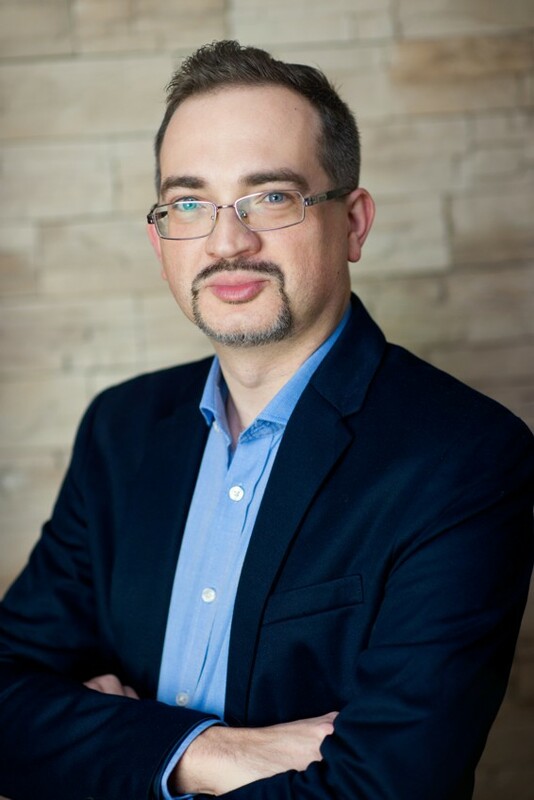 His expertise includes managing human resources in complex business environments across Poland, Romania, Bulgaria, Ukraine, Belarus, Slovakia, Estonia, and Lithuania. In the past, Rafal has also worked as a Director of Card Payment Business for Central Europe at American Express. Rafal is a dynamic management strategist, who wins a large spectrum of businesses including partners and banks. For nearly 25 years active in the payments industry. Co-builder of the Polish cards’ payments market and author of standards in force in this market. For 13 years member of the board of PolCard and First Data Polska (formerly PolCard)responsible for sales and acquiring products, co-founder of the Committee of Acquirers. Graduate of the Warsaw School of Economics, faculty of Foreign Trade,founding member of the faculty alumni association “Corporation HZ,from the beginning member of the Board of the Association. 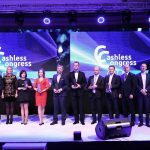 In January 2018 he was appointed to the Management Board of Cashless Poland. Assistant professor at the Faculty of Economic Sciences and Management at the Nicolaus Copernicus University in Toruń. Author of several dozen scientific publications in the field of electronic banking and retail payments. The results of the research were presented at the most prestigious international conferences on this subject, organized by the European Central Bank, the Bank of Canada and the Bank of Finland. Winner of the competition Marian Kanton for the best master’s thesis in the field of payment systems in 2002 and distinctions of the individual Rector of the Nicolaus Copernicus University for her doctoral dissertation in 2005. Winner of the “Highly Commended Award” awarded by the Emerald publishing house as part of the “The Literati Network Awards for Excellence 2010” for the article “Empirical analaysis of internet banking adoption in Poland” (co-author dr. Wiśniewski) published in the International Journal of Bank Marketing. 2016 was the winner of the. 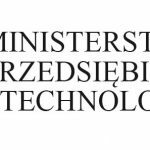 Professor Remigiusz Kaszubski, established by the Management Board of the Polish Bank Association, in the category of scientific activity for the study of the Polish payment system. Head of several major research projects, including: “Analysis of the factors determining the development of electronic retail payments in Poland”, financed by the Ministry of Science and Higher Education, 2008-2011; “Modeling the use of retail payment methods on the Polish market”, Committee for Economic Research of the National Bank of Poland, 2010; “Development through innovation or economies of scale? Survey of participants of the Polish payment system “, Warsaw Institute of Banking, 2014-2015; “European integration and innovation in the payment services market”, Polish Bank Association, 2011-2012. Head of the academic team as part of the “European Trend Survey» BANKS & FUTURE 2012 “. Trends and Developments in the European Payments Market “, Fraunhofer-Institute iEquens SE, 2012. He also implemented a number of other research projects in the area of ​​payment innovations, contactless and e-commerce cards and bitcoin cryptocurrencies. Founder and president of the research firm POLASIK Research, specializing in the field of electronic payment systems. Co-founder and president of spin-off Technology For Mobile Sp. z o.o., whose mission is to commercialize the scientific results and development work of UMK in the area of ​​payment innovation and mobile technologies. On 27 November 2015, Tadeusz Kościński was appointed Undersecretary of State in the Ministry of Economic Development. 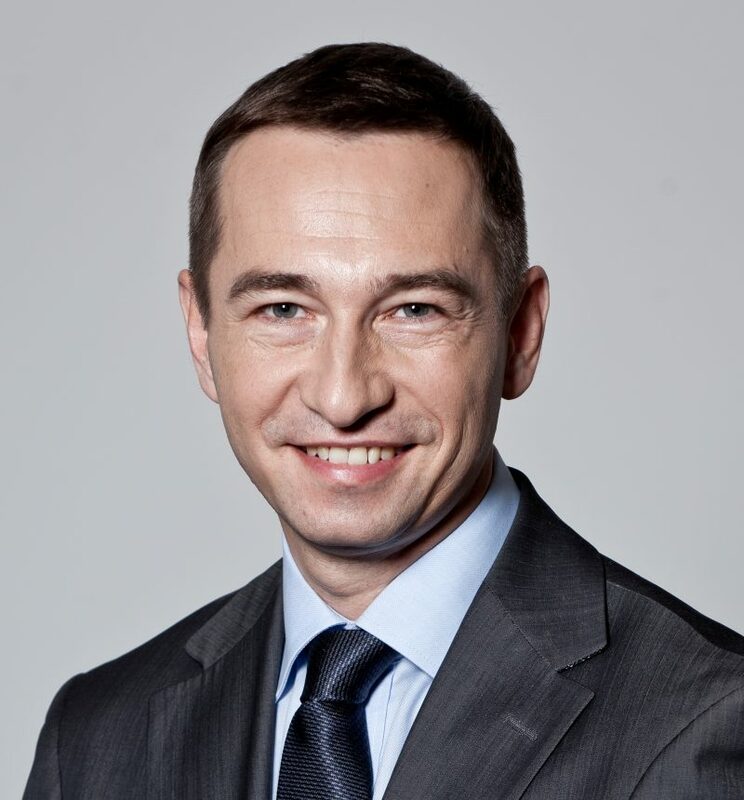 Tadeusz Kościński is responsible for the development and implementation of rules governing trade between the European Union and third states, issues related to economic security and supervising the provision of services related to electronic signature. 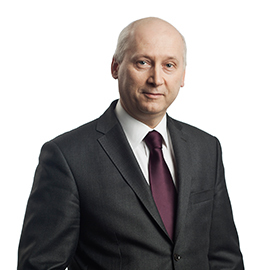 Tadeusz Kościński coordinates activities related to the government’s investment policy. He supervises tasks which are related to functions performed by the Minister in the capacity of a Certifying Authority. He has been working in the banking sector throughout his professional career. From 1997, he served as a director at Bank Zachodni WBK S.A. Previously, he had worked at Polski Bank Rozwoju S.A., Bank Przemysłowo-Handlowy, Bank Śląski and Bank Pomorski, and at two banks in London. He is a graduate of the Goldsmith’s University of London. Paymax SA provides innovative solutions POSPaymax allow you to accept credit cards using a payment application installed on your phone / tablet and card reader mPOSPaymax. 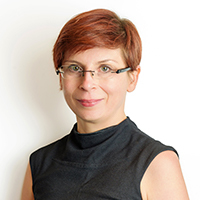 Katarzyna Zubrzycka has many years of experience working in the banking sectors of non-cash payments, loyalty programs and FMCG. In Raiffeisen Polbank served, among others, the director of department of sales of transactional banking and financial markets. Previously, she was director of the area of clearing services in Polbank, as well as managing director of marketing POLCARD. In Amrest worked as a brand manager Pizza Hut in Poland and brand manager of KFC in the Czech Republic, and as the director of marketing Premium Club has implemented the first multi-partner loyalty program in Poland. She graduated from the University of Economics in Wroclaw, English Philology at Wroclaw University, Harvard Leadership Academy / Harvard Business School and an MBA from National Louis University. President of Foundation for Development of Cashless Payments. In 2015 Mr. Laniewski was named the 3rd most influential Person in Polish Economy after spearheading the Foundation’s successful efforts culminating in significant decrease in credit card transactions charges, from one of the highest within the European Union. Prior to his career within the Foundation Mr Łaniewski had held a number of finance, operational and strategic management positions at Lotos Paliwa Sp. z o.o., where he was Member of the Management Board, CFO, Management Board Plenipotentiary for Strategic Projects and Commercial Proxy of the Company. He holds Finances and Banking degree from the Faculty of Management at the University of Gdańsk. 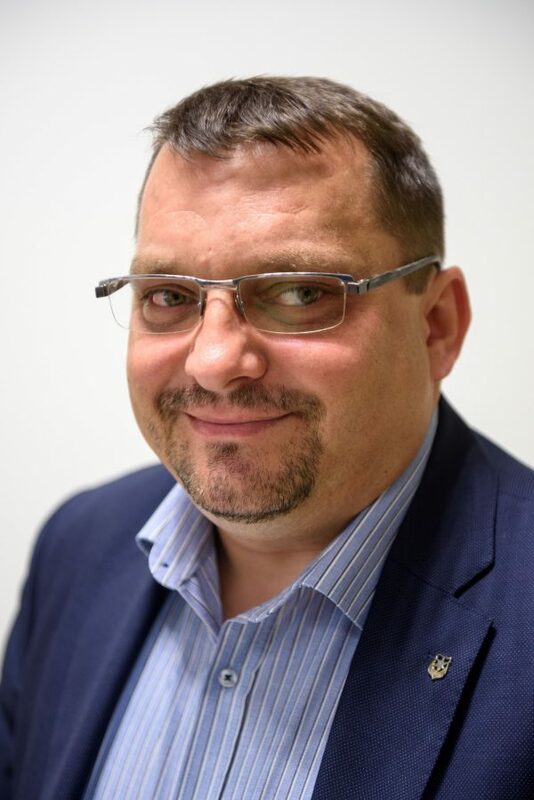 In 1990-1998 he worked in the IT Department of Pomorski Bank Kredytowy S.A. in Szczecin (as of 1997 at the position of the Director) and he was responsible for the management of the Bank’s transaction systems: including designing, development, implementation and operation phases. In 1999-2010, he held the position of the Director of the IT Systems Development and Maintenance Department in Bank Pekao S.A., and since 2006 he managed the Information Technology Division of the Bank. His responsibilities included integration of IT systems of four banks: Pekao S.A., PBKS S.A., BDK S.A., PBG S.A. and implementation of the Integrated IT System. He also managed IT integration and migration of data from BPH S.A. systems to Pekao S.A. systems and participated in the works of the team responsible for the entire integration process. Since 2000 he has been the member of the Supervisory Board of KIR and from 2005 to 2010 he was the Chairman of the Supervisory Board. 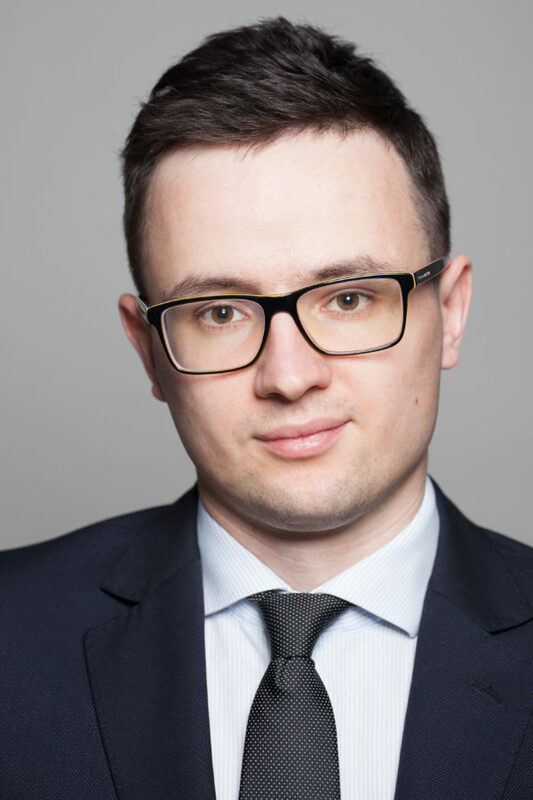 In 2002-2010 he represented Bank Pekao S.A. in the Payment System Council at the National Bank of Poland, and in 2010-2016 he represented PKO Bank Polski S.A. He was a member of the Supervisory Boards of the companies belonging to the Bank Pekao S.A. Group. 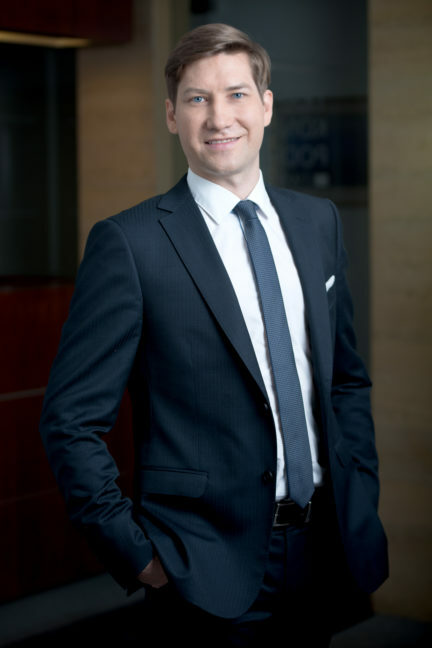 While holding the position of the Vice-President of the Management Board of PKO Bank Polski S.A., he was also a member of the Supervisory Boards of the companies belonging to the PKO Bank Polski S.A. Capital Group – Inteligo Financial Services, Nordea Bank Polska and PKO Bank Hipoteczny S.A.
As of November 2010 to October 2016 he held the position of the Vice-President of the Management Board supervising the Area of Information Technology and Services at PKO Bank Polski S.A. His responsibilities included integration of Inteligo to the bank’s systems, merger and integration of Nordea Bank Polska to PKO Bank Polski S.A. and development as well as implementation of the mobile payment system – IKO, which constituted the basis for setting up of the Polish Payment Standard. He took active part in the work of the Polish Bank Association: as a member of its Steering Committee for the Development of Bank Infrastructure, Payments System Committee, Issues Committee for Banking and Bank Financial Services, and its Electronic Banking Council. 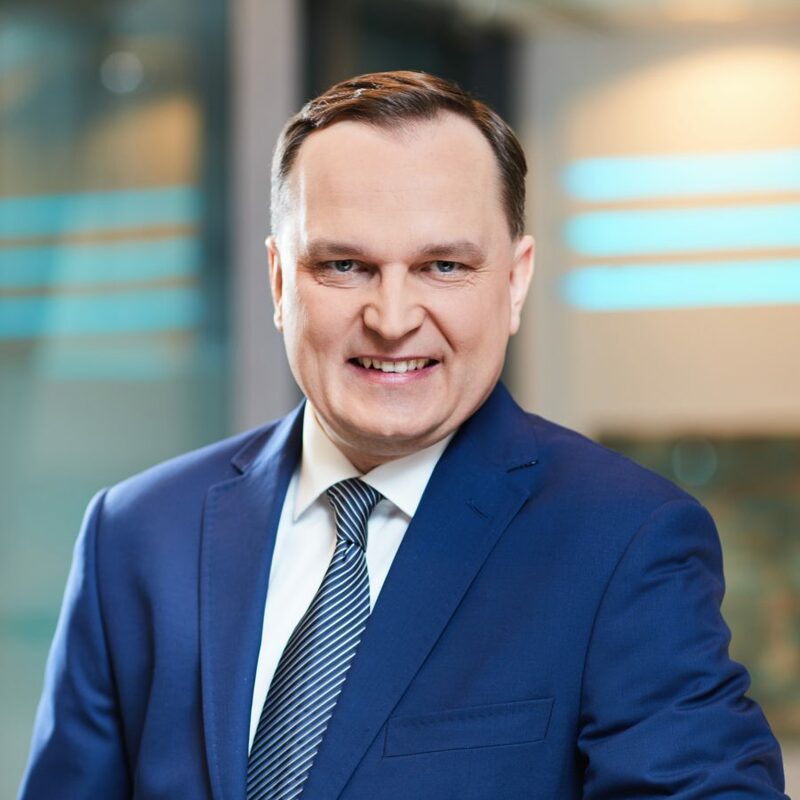 He held the position of the Chairman of the Electronic Banking Council of the Polish Bank Association in the period from October 2011 to October 2016. 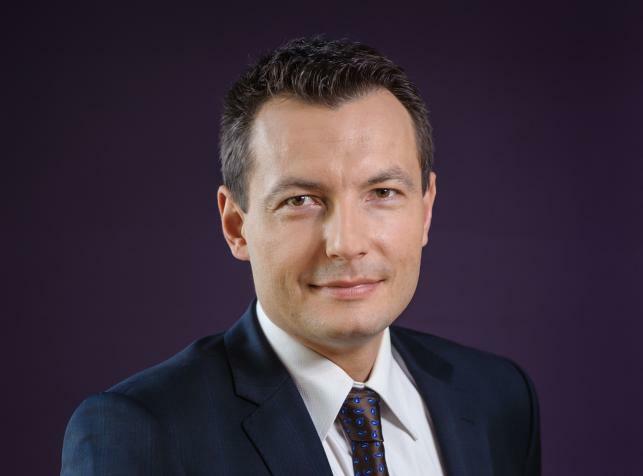 From May 2011 to April 2015 he was a member of the Board of Directors of Visa Europe representing PKO Bank Polski S.A. and other banks from Poland and seven countries of our sub-region. 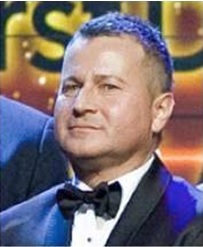 He has been awarded the special decoration of the President of NBP “In recognition of merits to the banking sector of the Republic of Poland” and Mikołaj Kopernik Gold Medal awarded by the Polish Bank Association; he was the winner of industry-related competitions: “IT Sector Leader 1997”, “IT Sector Leader 2010”, “IT Sector Leader 2012”, “IT Sector Leader 2016”. He graduated from the Faculty of Mathematics and Physics at the Adam Mickiewicz University of Poznań. He joined Polskie ePłatności S.A. as CEO in July 2016 as part of the new management team of the new owners Innova Capital. Professor of Economics (2015) and professor in the Department of Banking and Financial Markets at the University of Economics in Katowice. She is the author or co-author of over 140 scientific publications, including 9 monographs: Retail banking in Poland, 2005, 2008, 2011; Modern Retail Payments Market – specifics, regulations, innovations, 2013, and Europe: The Shift from Cash to Non-Cash Transactions (in: Transforming Payment Systems in Europe, edited by J. Górka, Palgrave Macmillan) 2016. In recent years, her research focuses on the issues of non-cash transactions and the functioning of the retail payments market and innovations appearing on this market. 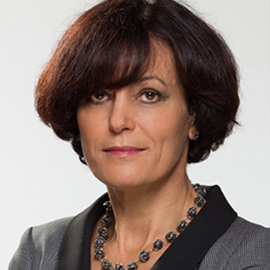 In 2012-2016 she was the Vice-Rector for Science, Research and Development of the Academic Staff at the University of Economics in Katowice. Since 2011 she is a member of the Science Committee of the Finance Academy of Sciences PAN (since 2015 member of the presidium of the committee). From 2005 to 2017 she was the Vice President of the Branch of PTE (Polish Economic Society) in Katowice. In addition, he represents the University of Economics in Katowice in the Coalition for Non-Cash Transactions and Micropayments. Since 2015 she is a Member of the Supervisory Board and Audit Committee of Pekao Bank Hipoteczny SA. In recognition of special merits in the construction and development of the banking sector in 2016 Polish Bank Association awarded her the Medal of Nicolaus Copernicus. 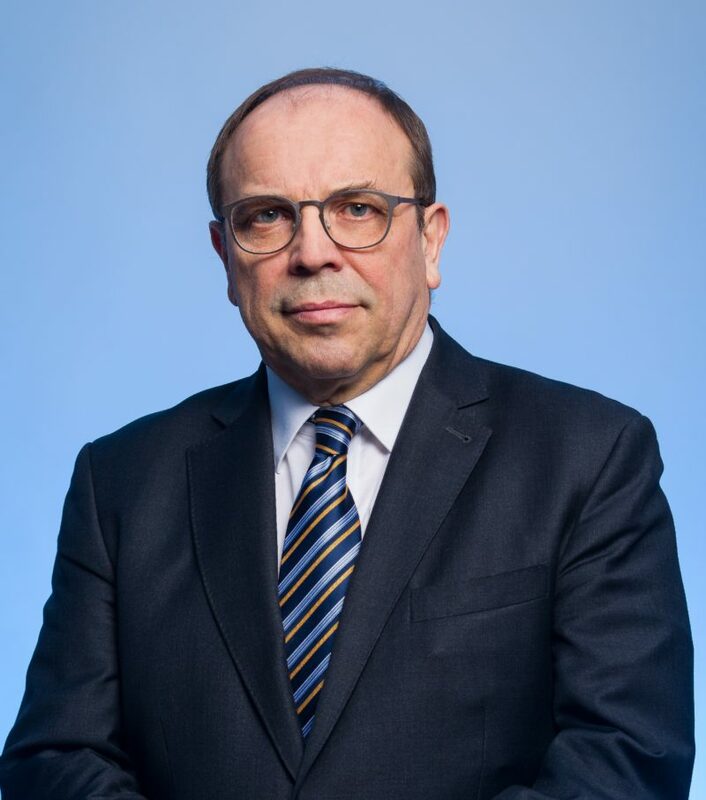 He specializes in the field of legal protection of information (personal data, trade secrets, business secrets), the broad market law of financial institutions and payment services, IT and TMT, especially in the conduct of proceedings before the President of the NBP, the Chairman of the Polish Financial Supervision Authority and the Inspector General for Personal Data Protection and administrative courts. He advises companies and financial institutions from the Polish market, as well as international markets. He is a legal expert of the Polish Chamber of Insurance and the Foundation for the Development of Cashless Transactions. The speaker at conferences, seminars and training courses in Poland and abroad. Author and co-author of numerous scientific publications and popular science publication “Protection of personal data. Current problems and new challenges “and the monograph” The secret protected by law in the banking business, “which won first prize in the competition NBP Scientiae Legis Excellentia for the best doctoral dissertation of economic law. 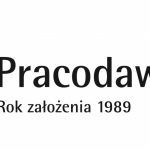 Assistant Professor in the Department of Civil Law and Economic Faculty of Finance and Law at the University of Economics in Krakow. WPiA graduate of the Jagiellonian University, School of German Law at the Jagiellonian University and the Universities of Heidelberg and Mainz, and the Austrian School of Law at the Jagiellonian University and the University of Vienna. Scholar of the Foundation for Polish-German at the Ruhr-Universität Bochum. Scholarships at the Ernst-Moritz-Arndt University of Greifswald, Johann Gutenberg Universität Mainz and the Max-Planck-Institut für Immaterialgüter-und Wettbewerbsrecht. Prof. US dr hab. Beata Świecka is a Professor of Economics at the University of Szczecin. She is Director of Household and Behavioral Finance Center, Member of the Finance and Banking Association, Chairman of Scientific Council in the Social Cluster. Her research interests are focused in the areas of cashless payments, personal finance, financial literacy, financial education, households financial decisions, the behavioral finance, the households insolvency, financial services, retail banking, credit cards. In 2016, she awarded for the best scientific publication by the Foundation for the Development of Cashless Transactions. Multiple times winner of the Rector of the US Award for achievements in science and teaching. In 2015 awarded by Dean’s award for scientific publication “Contemporary problems of personal finance”. The winner of the prize Amicus Scientae at Veritatis by Polish prestigious organization – Polish Economic Association. Expert of European Consumer Debt Network. Ambassador of the Polish National Bank in cashless payments. 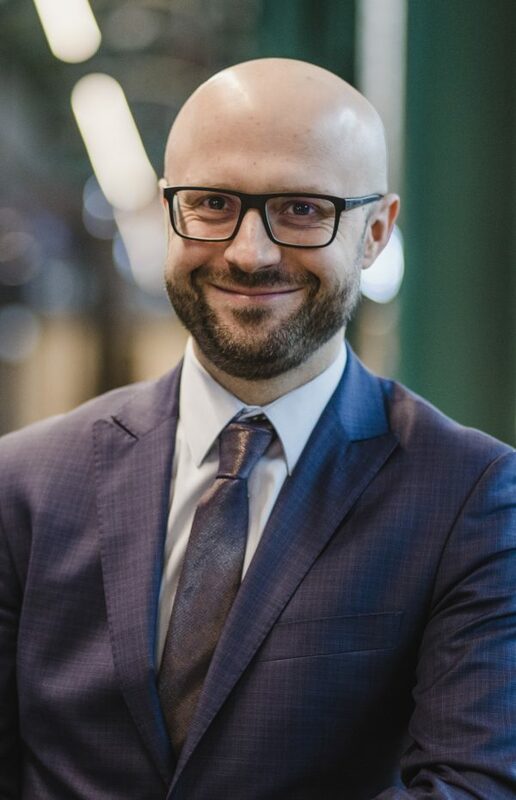 Adam Tochmański is Director of Payment Systems Department in the Narodowy Bank Polski and Secretary of the Payment Systems Council (advisory body to the NBP Management Board). He is also a member of the Market Infrastructure and Payments Committee in the European System of Central Banks and Chairman of the Coalition for Cashless Payments and Micropayments. He has worked for Narodowy Bank Polski since 1987. He graduated in Economics from Warsaw University. Kierunki rozwoju cyfrowego państwa: czego mogą się spodziewać obywatele w najbliższym czasie? W przyszłości (płatności) będzie inaczej. Czy to klienci zadecydują jaka będzie przyszłość? Czy warto analizować przyszłość? Rola foresight’u strategicznego. Postawy życiowe konsumentów. Minimalizm konsumpcyjny, kult sukcesu, lajfhaking, ultraaltruizm, wielka akumulacja, antysystemowość, YOLO czy transhumanizm. Co zwycięży w roku 2030? Formy płatności teraźniejszości w przyszłości. Formy płatności przyszłości w przyszłości. Kanały obsługi klienta w 2030. Agata Adamczyk – ekonomista, Bank Pocztowy S.A.
PIN on glass: Czy smartfon zastąpi terminal płatniczy? Przyszłość terminali płatniczych: Czy wersja „soft” wygra z wersją „hard”? Smartfon pełniący funkcję terminala płatniczego - pilotaż technologii. Czy rozwiązania software’owe mają szansę zastąpić sprzęt do akceptacji płatności kartą, jaki znamy? „Cyfrowi tubylcy” oczekują od sklepów fizycznych doświadczenia użytkownika, jakie oferują e-commerce i m-commerce. Co tradycyjny handel może zaoferować im w obszarze płatności? W płatnościach, podobnie jak handlu w ogóle, rzeczywistość online i offline coraz silniej się przenikają. Czy płatności zdalne na stałe zagoszczą w sklepach fizycznych? Zwrot z inwestycji detalisty w innowacje: koszt wdrożenia zaawanasowanych technologii a rozwiązania niskonakładowych? Wyzwania prawne na rynku usług płatniczych - 2019 r.
Ewolucja przepisów polskich i unijnych w obszarze usług płatniczych w 2018 r. a oczekiwania interesariuszy w 2019 r.
Determinanty wyboru formy płatności - co jest ważniejsze kontekst transakcyjny czy cechy instrumentu płatniczego? Dla kogo jest ważny koszt płatności i jakie ma znaczenie w zmianie zwyczajów płatniczych konsumentów? Płatności face-to-face i w Internecie - na ile sposób zakupu wpływa na nasze preferencje płatnicze (na to jak płacimy)? Innowacyjne formy płatności a gotówka - czy rzeczywiście lubimy innowacje? Co hamuje obrót bezgotówkowy w Polsce, a co go stymuluje? 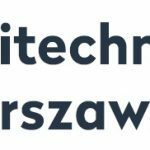 Fintech: blockchain - przełom dla rozwiązań płatniczych czy bohater jednego sezonu? średniczania wszystkiego, która jest zaszyta w technologii blockchain, może być impulsem rozwojowym w świecie płatności, czy szerzej w przyszłości bankowania? dę wiemy i rozumiemy z tego wszystkiego? systemu FinTech made in Poland? Nowoczesne instrumenty płatnicze przyszłości – z bankami, w kolacji binzesowej czy niezależnie? Jak długi może być łańcuch dostawców usług do finalnego odbiorcy (konsumenta)? Banki i fintechy – kto teraz będzie władcą serc (i portfeli) konsumentów? Jak wymogi bezpiecznej autentykacji klienta płacącego bezgotówkowo wpłyną na wygodę konsumentów i detalistów? 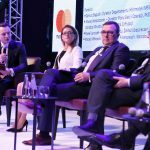 Joanna Erdman – Director, Strategic Projects, Retail Customers & Transactional Banking, mBank S.A.
Robert Tórz – Dyrektor Departamentu Bankowości Mobilnej, SGB Bank S.A.
Polska liderem rozwiązań i inicjatyw – co osiągniemy przez najbliższy rok? Europejskie regulacje – czynnik rozwijający i stabilizujący rynek, czy też hamulec dla innowacyjności? Równolegle do Kongresu warsztaty specjalistyczne poprowadzone przez ekspertów branżowych dla niewielkich grup (do 30 osób) . 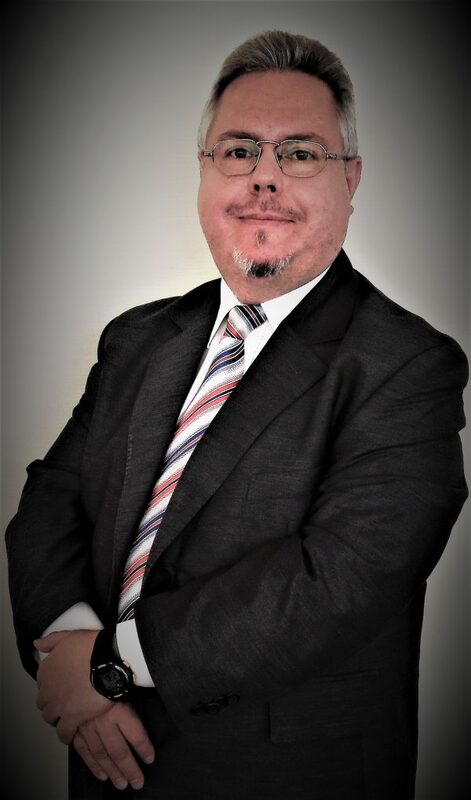 Head of Innovation and Payments Department Vice-Chairman of the Supervisory Board of the Centrum Kart S.A. Bank Pekao S.A.
President of the Management Board at ELZAB S.A. Economist, graduate of the University of Lodz (faculty: Finance and Banking), for 20+ years worked for various financial institutions. 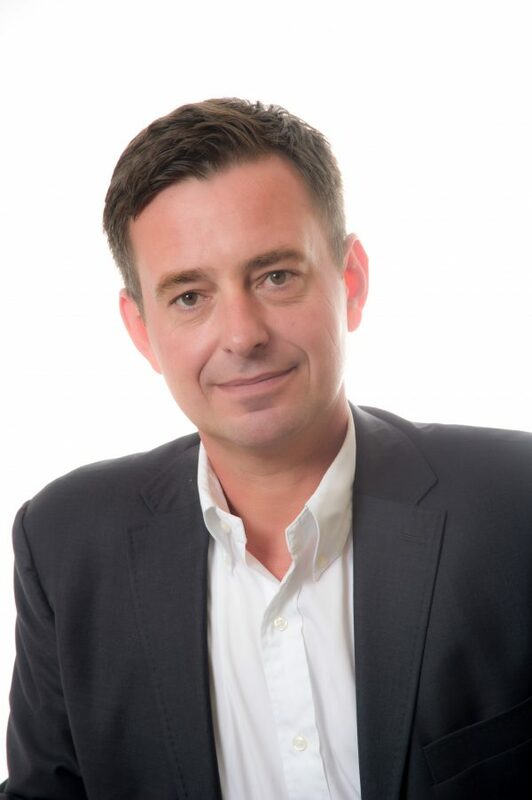 Tomasz has experience in the areas of: banking, capital markets, business management, project management, corporate finance, accounting, controlling, financial planning, analysis and implementation of investment projects, corporate governance, risk management. In 1995 he started working for Kredyt Bank S.A. during his studies. Then for 11 years he worked for the Raiffeisen Banking Group (4 years in a brokerage house and 7 in Raiffeisen Bank Polska SA), holding among others the positions of: deputy director in the Financial Markets Department (treasury), director of the private banking department, he was also a representative of Raiffeisen Capital Management AG in Poland. From 2007 to 2012 he was the CFO and the board member of Pentegy S.A., a consulting company. From 2013 to 2016, he held a position of the Vice President and CFO of Q Securities S.A. a private brokerage house, he was the founder of. Since June 2016 Tomasz is the Board Member and the Group CFO of Poczta Polska S.A. The national postal operator, the largest employer in Poland. 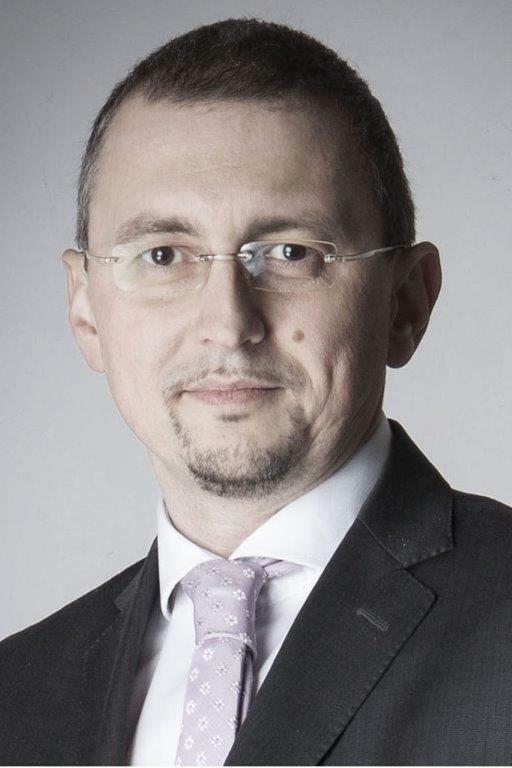 Tomasz Dąbrowski is a co-founder and member of the supervisory committee of FINEXA Association of Financial Directors. He was also a member and chairman of numerous supervisory boards, both public and non-public companies. Currently the supervisory board chairman of Pocztylion-Arka PTE SA, a pension fund management company of Poczta Polska S.A. Group. A graduate of the Cracow University of Economics in the field of finance and banking. From the beginning of his career, he participated in numerous projects related to the use of modern technologies in finance and banking. Between 2000 and 2003, in Bank BPH, licensed stocks broker, co-responsible for creating and development of internet sales/transactional channel of brokerage house. From 2003, Head of Sales Support responsible for operational CRM and coordination of sales activities of Retail Division of Bank BPH. From 2007 as the Director of the Strategic Projects Office at Bank Pekao S.A. involved in the project of merger of Bank BPH and Pekao, organization of the Bank’s activity for EURO2012, coordination of the Bank’s strengthening program in the area of payments, which led to breaking the monopoly of cash in the largest retail network in Poland. Responsible for the implementation of operational CRM for 14,000 employees of Bank Pekao, development of PeoPay mobile payments applications and its transformation into the new mobile banking of Bank Pekao. Responsible for creation of innovative payment solutions like third HCE contactless implementation in Europe, Apple Pay and first multi-currency card in Poland. Since 2017, as Director of the Innovation and Payments Department in the Retail Banking Division, responsible for mobile banking, POS acquiring, card products, Innovation Lab and omnichannel platform. Leader of Digital Transformation Programme in Retail Division. Vice-Chairman of the Supervisory Board of the Centrum Kart S.A. Member of the Presidium of the Council of Banking Cards Issuers at the Polish Bank Association. An economist – he received a degree and graduated from the Economics course at the Faculty of Economics and Agriculture (currently Department of Economic Sciences at the Warsaw University of Life Sciences) – he has been applying the competition policy in practice for more than 20 years, starting in the Antimonopoly Office and then in the Office of Competition and Consumer Protection. He also works professionally with consumer law. His career began when he was still a student (in 1994) in the first consumer department of the office – the Department of Protection of Consumers on the Monopolized Markets (in the Antimonopoly Office transformed later in 1996 into the Office of Competition and Consumer Protection). At the beginning – until 09.1997 – he was associated with office’s headquarters, where he was successfully promoted from the referent position to the senior specialist position. He is an author of many antimonopoly decisions projects, pleadings and opinions. He has been leading the market research as well as economic analysis for the purposes of diverse actions. In 1997 as the result of a competition organised by a General Manager of the UOKiK (Office of Competition and Consumer Protection) he received the position of the deputy director of the UOKiK branch office in Warsaw where he has been organising the work and leading a team of people. Since the beginning of 1999 he has been the director of this delegacy. He has completed many trainings and courses in the field of law and economics. A participant of the international visits (trainings) in the institutions of competition and consumers protection. A lecturer of subjects in the area of competition and consumer protection at the Department of Economic Sciences Warsaw University of Life Sciences and at the Polish Academy of Sciences. Co-author of scientific publications published as a result of cooperation with previously mentioned university. In years 2001 – 2005 he was a member of a board of directors of the Suwalki Special Economic Zone company (he received a diploma after the national exam for the candidates for members of board of directors and completed a specialized interdisciplinary training for the members of the board of directors). In years 2005 – 2014 he has been a vice-president of the UOKiK (supervising the activity of 9 delegacies of the UOKiK, Consumer Policy Department, Market Analysis Department and Competition Protection Department). Responsible (since 2005) for many legislative projects in the field of consumer protection. He coordinated preparation of the government projects dedicated to developing the competition as well as projects connected with consumer policy. For many years he has been a Polish representative in the Consumer Policy Network in Brussels. He represented Polish government at the Council of the European Union’s sessions. He is one of the inventors of the coordination system for the work of delegacies and office departments. The leader of the team responsible for grants for the realisation of certain activities in the field of consumer protection. The chairman of the jury during the competitions for the best masters thesis dedicated to the legal aspects of consumer protection (years 2011, 2012 and 2013). The president of the “Mercatus et Civis” Foundation. Currently, Country Manager at Euronet Poland. Previously, he managed various divisions at banks: PeKaO SA, PBK SA, BPH SA, and Alior Bank SA. He was also a member of Supervisory Boards, including Towarzystwo Funduszy Inwestycyjnych ATUT, KIR SA, MCG sp. O.o., TUW TUZ. The main business areas are: consumer finance, international markets, operations and logistic, HR, international payments, outsourcing, process improvement projects. 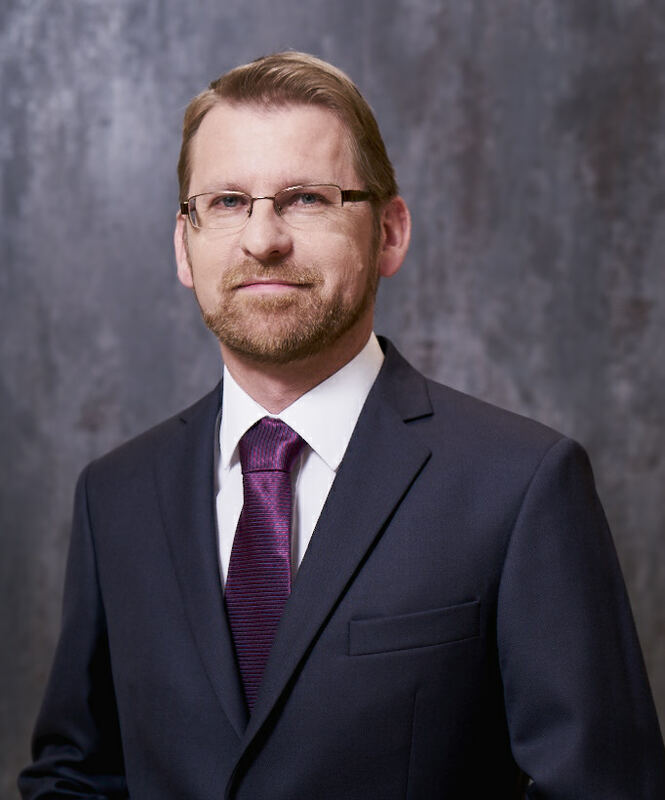 Krzysztof Polończyk – Country Manager, President Of The Board Of Directors at First Data Polska S.A.
Krzysztof is a graduate from the University of Economics in Katowice. An experienced manager who has worked in international corporations for 15 years now. 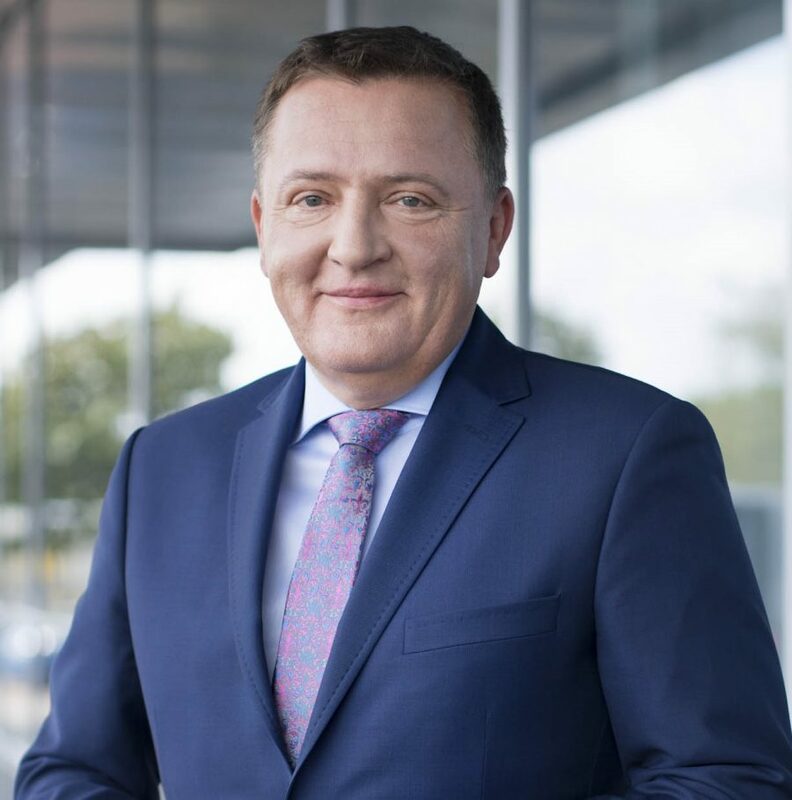 Krzysztof took the role of the president of the management board in First Data Polska in March 2018. He was appointed to the position for his successful delivery of the company’s strategy, which he supervised from October 2017 as a member of the management board. 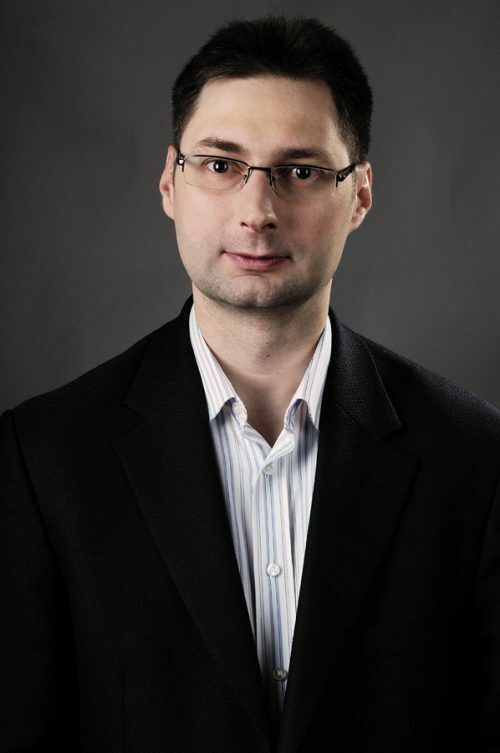 Between 2001 and 2006 Krzysztof worked for Unilever Polska where he specialized in Sales Management Accounting. He then progressed in his career in Baxter Polska (pharmaceuticals) managing the finance department as a Country Finance Manager and a member of the board for Poland and the Baltics between 2010 and 2013. 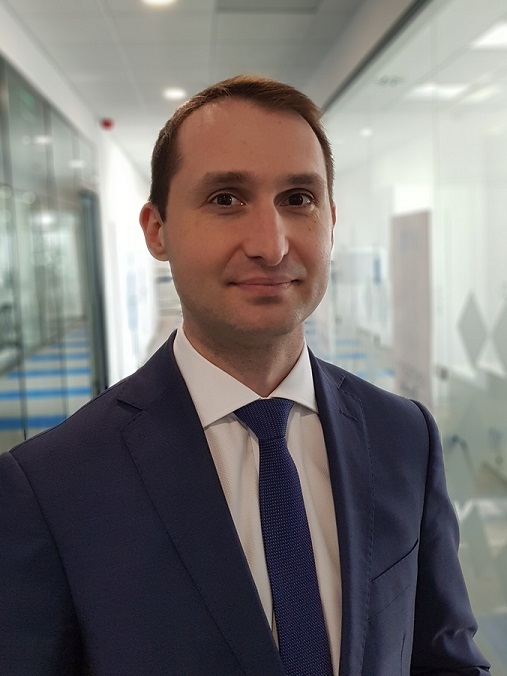 In 2013, Krzysztof moved to the Regional Department – starting from the CE region and then continuing with ECEMEA, where he was responsible Commercial Pricing. 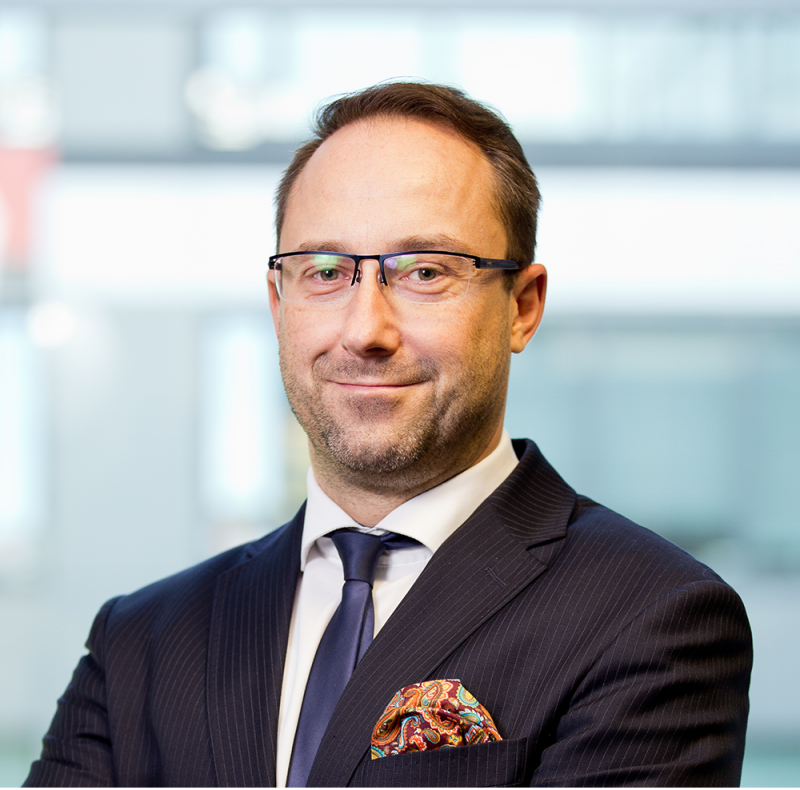 Krzysztof joined First Data Polska in 2016 as its Chief Financial Officer. Professionally involved since the nineties with the development of the payment cards market in Poland. An expert and a manager in the leading entities in this industry – American Express, Bank Handlowy w Warszawie SA. Europay International S.A. and Bank Pekao S.A. where he worked last 14 years. 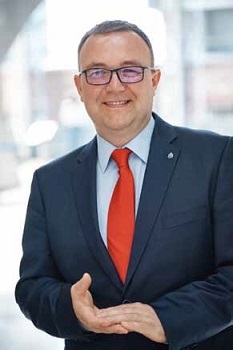 Since March 2018 General Manager and President of the Board of Diners Club Polska. Responsible for concept development and implementation of payment cards: debit, credit and prepaid, related functionalities and added value services, migration to EMV standard, implementations of contactless technology, multicurrency and multiapplication cards and DCC services, and as well for co-operation with merchants. As a representative of the bank, an active member of teams and working groups within initiatives undertaken by Polish Bank Association and National Bank of Poland. President of the Management Board of the KRD Economic Information Bureau. He is a graduate of the Medical Academy in Poznań, specializing in the management of health care units. He started his professional career at the Polish branch of Johnson & Johnson, where he became regional sales chief. Then he managed several branches of debt collection companies. Since March 2005, he has been the President of the Management Board of the KRD Economic Information Bureau. 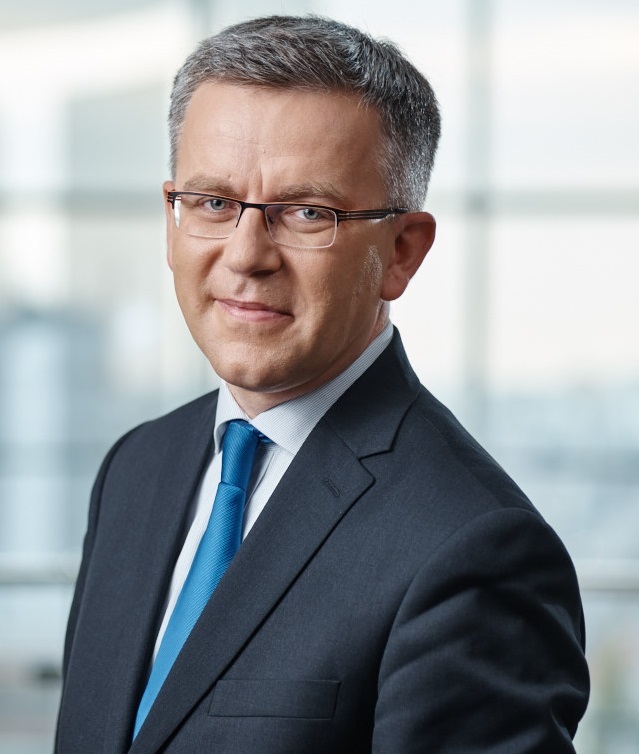 Under his leadership, the KRD has become a permanent element of the Polish economy, creating a nationwide system of economic information exchange. 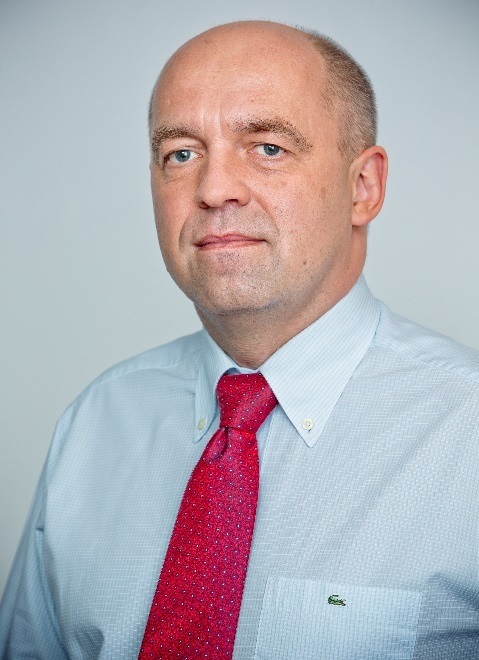 In 2014 he was elected as the vice-chairman of the Conference Committee of Financial Enterprises in Poland, and in October 2017 he was appointed for the position of the Vice-President of the Management Board of the Polish Association of Private Employers of Banks and Financial Institutions. Adam Łącki has been awarded many times by the financial press for his activity. Among others in 2017, he was on the list of the 25 best managers of the year, by the Home & Market magazine, and in 2018 ‘Gazeta Finansowa’ placed him on the list of 25 financiers of the year 2017th. Fintech market expert with extensive knowledge of banking and financial technologies. She is responsible for the success of Vivus.pl and Vice-President of the Employers of Poland. A member of the management and supervisory boards of 4Finance Group companies in Poland and abroad. She is a graduate of Company Management at Gdynia Maritime University, and Innovation Leadership at the Warsaw School of Economics. Deputy Mayor of Wrocław since 2007, responsible for investments, economic development and raising external funding. He devised and established a modern institution responsible for organization and supervision of investment projects, which significantly increased city’s organizational capacity in this area (in the years 2006-2009 the volume of implemented investmen projects grew threefold). During Wrocław’s preparations to UEFA EURO 2012 Footbal Championship he was responsible for infrastructural investment projects. He introduced project management methodology to Municipality of Wrocław. He supervises the process of developing PPP projects. He is engaged in Smart City and Open Data projects and he is responsible for their coordination and implementation. He is also responsible for providing good conditions for development of startup companies through establishing an eco-system Startup: Wrocław. In 2003-2007, serving as Wrocław Treasurer, he restructured City’s debts and lowered the debt indicators. For the first time in Poland he introduced a wide use of municipal consolidated account. As part of efforts to create new jobs he devised and implemented a programme supporting businesses that were investing in Wrocław and employing new workers. of Development Plans and Municipal Investments, he wrote numerous reviews of bills for Joint Commission of Government and Local Self-government and authored several proposals of amendments in acts concerning self-govermnet. Heading Retail Payments Category in BP global procurement team responsible for acceptance & issuance strategies and implementation of major procurement activities and projects in payments area. Payments industry expert with almost 20 years of experience. In 2006 joined BP’s European structures leading business support team and later managing Payments Acceptance Strategy in Europe. As part of his career development he joined global procurement organization in 2014. In the years 2012 – 2015 active member of POPIHN and FROB representing the fuel sector in the debate on fees related to payment cards in Poland as subject matter expert. 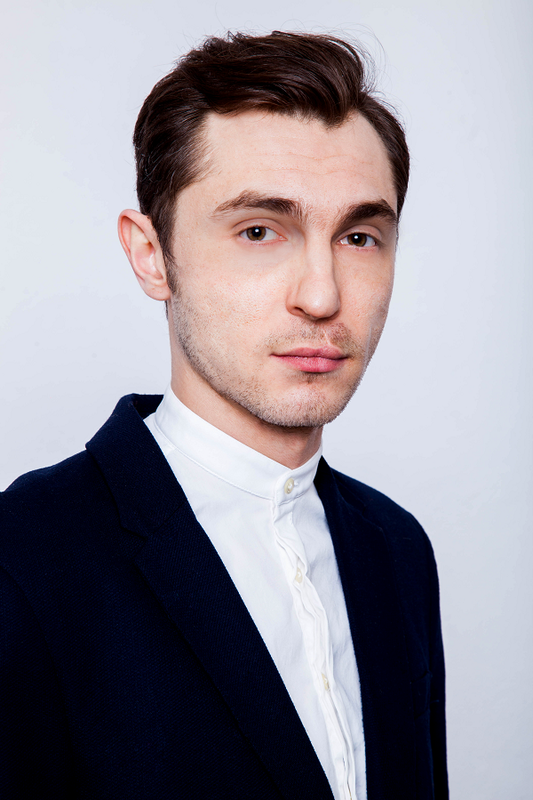 He graduated from the Faculty of Management at the AGH University of Science and Technology in Cracow. Piotr Waś holds a masters degree from the University of Economics in Krakow. In the 90s he worked in companies involved in supplying solutions in the areas of IT and systems supporting management, including Qumak, Hogart, Exact Software. 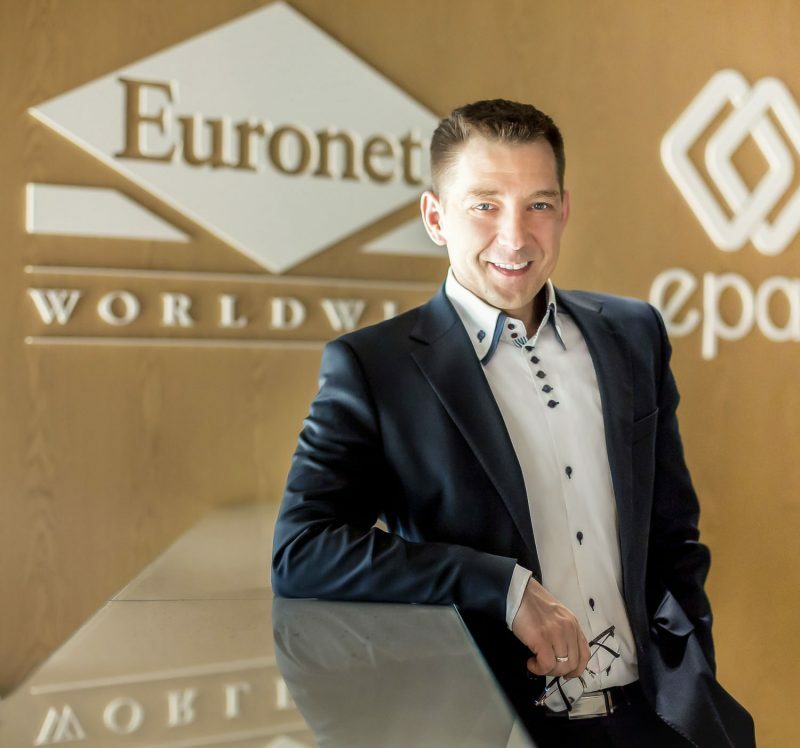 He gained managerial experience, among others, in the company First Data, at the position of the Sales Director and in Euronet Worldwide, at the position of the Sales Manager for Central Europe. Since 2012 he has been working in Ingenico Group as a Country Manager for Poland & Baltic countries and later in the same capacity for Ukraine and Hungary. In april 2017 he became the Managing Director responsible for Eastern Europe. Piotr Waś reports directly to Luciano Cavazzana, Senior Vice President EMEA, Banks & Acquirers Business Unit. He started his career in 1994 at Powszechny Bank Kredytowy SA. From 1995 until 2008, he worked for PolCard SA / First Data Polska SA. where he held posts from Financial Planning and Reporting Unit Manager to Financial Planning and Controlling Director. 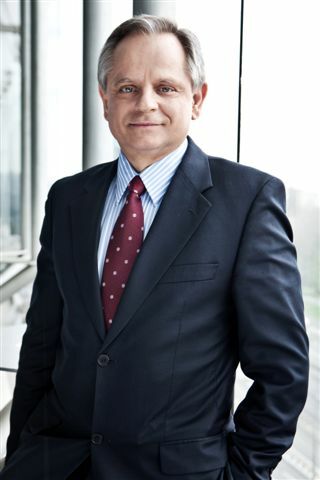 In 2006-2007, he was a member of the Management Board and Chief Financial Officer of First Data Polska SA. In 2007-2008, he was active in establishing First Data’s Shared Services Centre in Gdańsk, serving as Finance and Controlling Director. In 2008 started to work for LPP SA as Financial Controller. 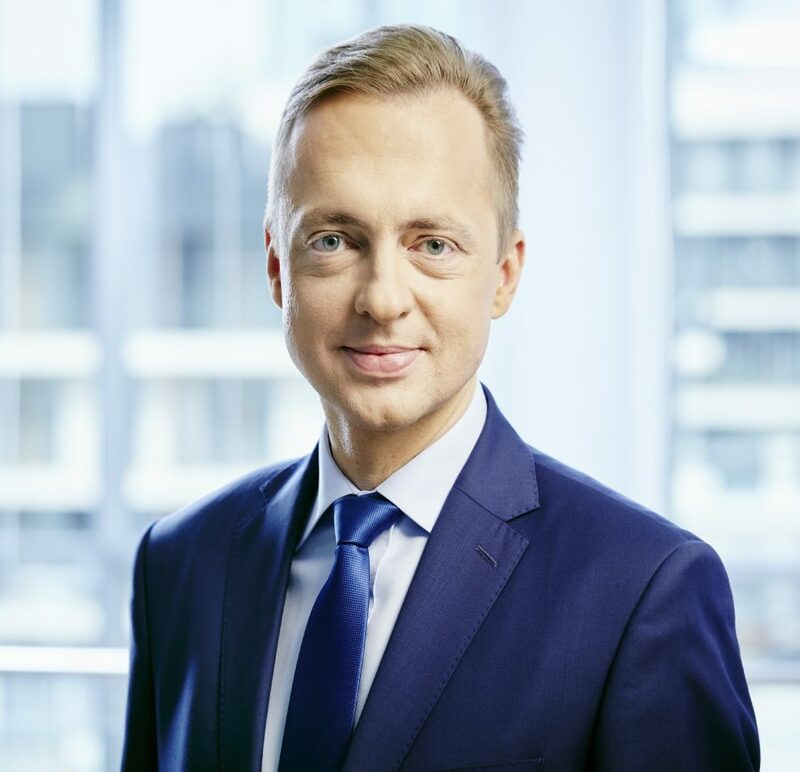 Promoted to CFO and Board Member of LPP SA in December 2014.
from 1 January 2003 CEO / President of the Management Board of Deutsche Bank Polska S.A. and Chief Country Officer of Deutsche Bank Group in Poland, 1.08.1998 – 31.12.2002 Member of the Management Board Deutsche Bank Polska S.A. From December 1996 till June 1998 First Deputy President of Bank Pekao S.A. From October 1990 to December 1996 in the Ministry of Finance – first Advisor to the Minister of Finance, then Director of Foreign Department and from June 1994 Secretary of State, First Deputy of the Minister of Finance. Since October 1976 Senior Lecturer at Warsaw School of Economics. Member of numerous Supervisory Boards – at present Member of the Supervisory Board of DB Securities S.A., Member of the Council of the Polish Bank Association (ZBP) and Member of the Audit Committee of the Polish Bank Association; Professor in Kozminski University. More than 120 research papers, articles, participation in 5 books in Polish, German and English. Organization & Management graduate in Warsaw School of Economics. For many years, strongly dedicated to acquiring industry. For over 10 years, as a Head of Key Account Management Department in First Data Poland, he has been responsible for the company’s positioning on the market and establishing relationships with biggest retailers in Poland. He has been successfully managing his Sales Team within acquiring industry development. He has been active on the market during all important transformation in the acquiring industry – starting from first merchants and point of sales acquiring until competitive environment development, market saturation and add services or product portfolio establishment. For over 3 years he successfully realizes and co-creates Elavon Merchant Services DAC strategy – global Acquirer, providing services in Europe and all over the World. In his private life, he is old timers fan and passionate about motorcycles. Co-founder and board member at Obserwatorium.biz. 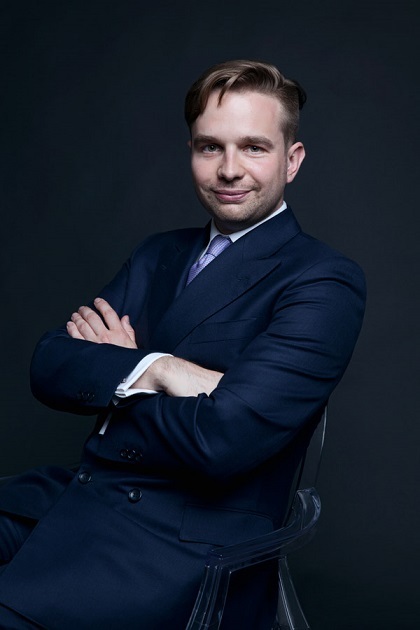 Doctor of Humanities, Adam Mickiewicz University in Poznan (specialization sociology), owns Master’s degree in strategy and business planning from the University of Economics in Poznan. In the years 2006-2014 the director of electronic banking at Bank Zachodni WBK, where he was responsible for business development of electronic banking, sales through electronic channels and electronic payments. 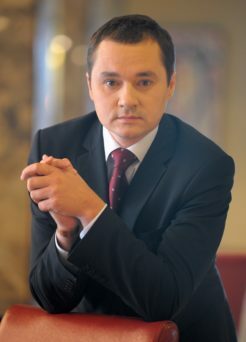 In 2012-14 member of the Presidium of the Electronic Banking Polish Bank Association. Since 1996 she has been associated with the company METRO GROUP in Poland. 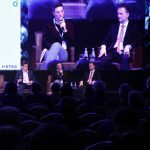 Since 2000 serves as Director of the Representative Office of METRO AG in Poland, representing the company to the state authorities, non-governmental organizations and trade associations. President of the Polish Trade and Distribution Organisation and Vice-President of the Confederation Lewiatan. Vice President of EuroCommerce, President of the Council for Trade in Central and Eastern Europe, represents the modern trade to the EU institutions in Brussels and takes action against trade restrictions which confine single European market. 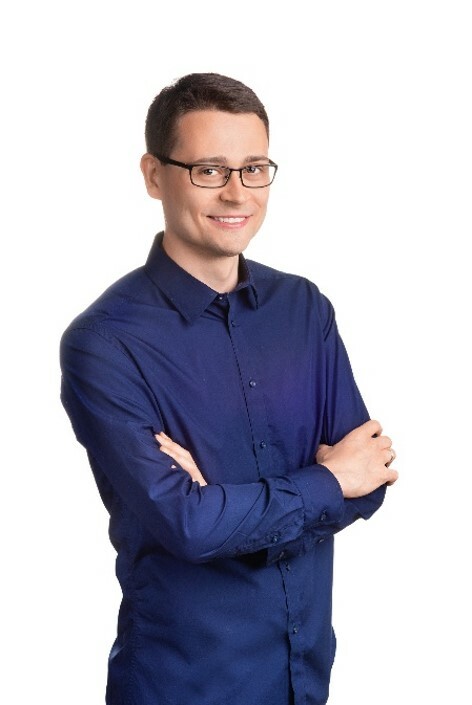 Krzysztof Urbanowicz graduated Warsaw University of Technology in the field of Civil Engineering, as well as Marketing and Management studies at University of Warsaw. Krzysztof Urbanowicz is a graduate of the Faculty of Business Management of the Warsaw University of Technology Business School (MBA). He was awarded the academic degree of MBA on the University of Illinois in Urbana-Champaign and he finished studies at AMP University of Navarra IESE Business School. Krzysztof Urbanowicz graduated many foreign and domestic courses including advanced management programmes in Insead and St. Gallen Universities, as well as Startup Academy, Facebook advertisement, Google Adwords, Landing Pages, SEO and Positioning. Between 2010-2015, as a President of the Management Board at ELZAB S.A. he has won the “Giełdowa Spółka Roku” award in 2015 reaching ELZAB growth rates increase by 1600% within three years. 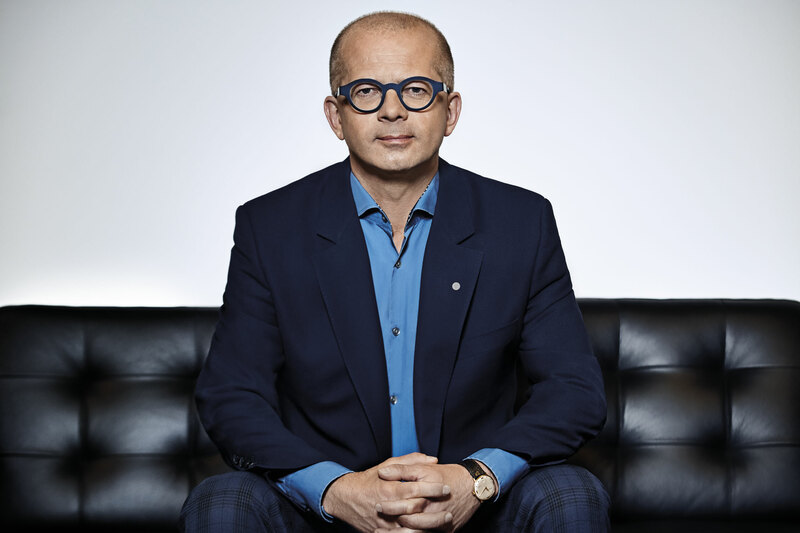 The company led by him has been awarded with many prizes including “Teraz Polska”, “Red Dot Award”, “Byki i Niedźwiedzie”, “Dobry wzór”, “Fair Play”. During his stay in London, he was working in many places around the world including Argentina, Brazil, Chile, Uruguay, Venezuela, Hong Kong, China, Malaysia, Indonesia, Pakistan and the Czech Republic. Since 2016, he acts as a President of the Management Board at ELZAB S.A. once again. 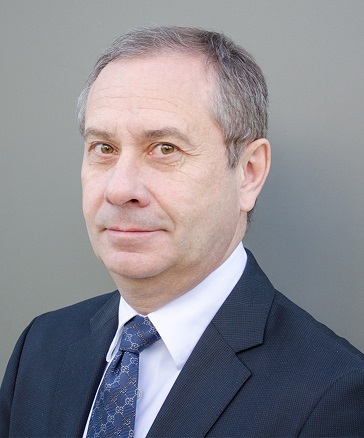 Krzysztof Urbanowicz is also a Chairman of the Supervisory Board at ELZAB SOFT Sp. z o. o. Director of Sales and Trading in Shell Gas Polska (1993-1996). 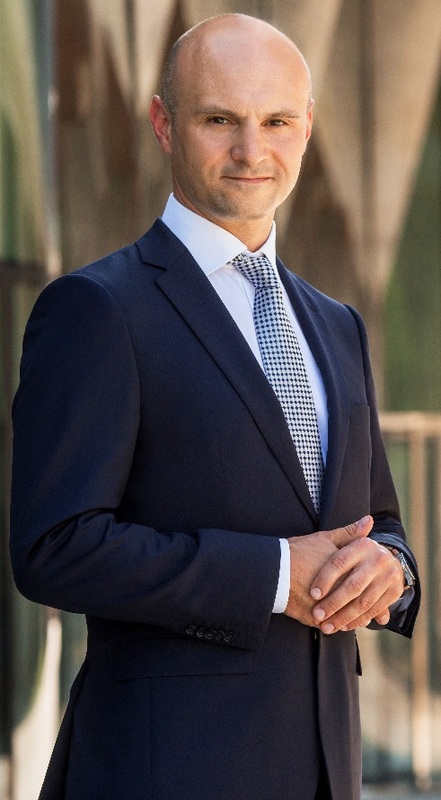 Graduate of the Finance and Banking Department at Cracow Economic University (currently Cracow University of Economics); also holds an MBA Executive diploma from RSM Erasmus University – University of Gdańsk. In the card business since 2000, he joined Visa in January 2007, initially as Sales Director, Growth & Emerging Markets – responsible for contacts with leading Polish issuer banks and acquirers, acceptance expansion (including the programme Visa cards accepted everywhere) and Visa contactless development in this country – and subsequently as Visa Europe Country Manager for Poland. Last three years served as Head of Regional Marketing and Business Development, Central Eastern Europe (Poland, Czech Republic, Slovakia, Hungary), Visa. Currently General Manager, Poland and Hungary at Visa Europe. Editor-in-chief and co-founder of the information service Cashless.pl. He has several years of experience in journalism. In the years 2010-2015 was published in Dziennik Gazeta Prawna. Previously, he wrote, among other things Parkiet, Puls Biznesu, Gazeta Bankowa and Pieniądz magazine. He specializes in topics related to bank cards, mobile payments, financial applications for smartphones. Honored as Journalist of the Year by the Chapter VII Electronic Economy Congress in 2012. Polish Bank Association Journalism Laureate in 2013. In the same year nominated for the Eugeniusz Kwiatkowski Prize. In 2015, he awarded in the competition for Journalist of the Year by the X Congress of the Electronic Economy. PhD in telecommunication at Warsaw University of Technology. His doctoral dissertation was about cryptography and smart cards. He has been working in the cashless industry since 1997. He started to deal with the industry during his university time with the research of Siemens Eurochip for TPSA. His professional career he began at Elbank S.A. as a security officer where he was involved in the implementation of smart cards system for Lukas. In 2002-2003 he worked for Banpol Co. as the v-ce director of card payment department. He cooperated with Wincor Nixdorf till 2012, starting as a project manager and finally being the director of card payment department. Since autumn 2011 he took on a position of Area Delivery Manager and Practice Lead in Retail Consulting and Integrated Solutions for Eastern Europe region. He joined MCX Systems in August 2012, responsible for strategy and business development, President of the management Board till September 2017. In the years 1997-2012 was a member of Polish Body of International Standardization Organization, Committee 172 for ID cards. He is the author of many industry publications and conference lectures. He practices regularly sport, is interested in philosophy and foreign languages. From February 2018 President of the Management Board of Bee-Tech. Previously, he shaped e-commerce markets by managing multiple Allegro businesses in 14 European countries, as Allegro Group CEO.His 18 years of experience in managing includes building of internet innovation in RMF radio network, inventing Interia.pl portal, multimedia development of ITI Group (TVN television, Onet portal, DreamLab). 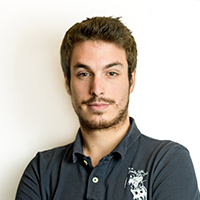 He is also founder and CEO of Autenti.com – a platform for approvingdocuments and signingcontracts online. By being actively engaged in multiple non-profit organisations, he promotes digital business as board member of Ecommerce Europe, Association of Digital Technologies Employers Lewiatan, Digital Market Development Foundation. He is also active within multiple internet start-up coaching initiatives as mentor. As Head of Supervisory Board of PBI (Polish Internet Research), he initiated measurement standardfor the Internet in Poland by coordinating joint efforts of 6 largest Internet competitors. He is a graduate of the University of Marie Curie-Sklodowska University in Lublin obtaining a degree in mathematics. He completed courses organized by Suples and Europay Academy, DePaul University Chicago – Department of Finance, and the International School of Banking and Finance in Katowice, in collaboration with the University of Wales, Bangor. 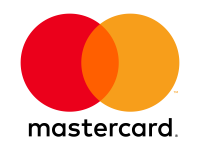 Bartosz Ciolkowski since January 2014 as General Manager Mastercard Europe is responsible for Mastercard Polish operation based in Warsaw. Director of Payment Products and Relations Department, Bank Zachodni WBK S. A. For several years connected with the card business and ATM at Bank Zachodni WBK. He supervises the development and strategy of personal accounts, credit and debit cards and other payment instruments. His responsibilities include supervision of loyalty programs, development of card innovations (mobile, NFC / HCE, digital wallets) and co-operation with other card processing companies. He is also responsible for cooperation and relationships with strategic partners in offering common solutions and packages of services to retail clients. Anna has 18 years of experience in the financial and payment services industrygained in Poland and CEE (Citigroup, T-Mobile, mBank). She was also a CEO of one of the leading Polish payment institutions and acquirers. Anna’s expertise lies in digital payments (mobile, cards, wallets), acquiring as well ascognitive banking. 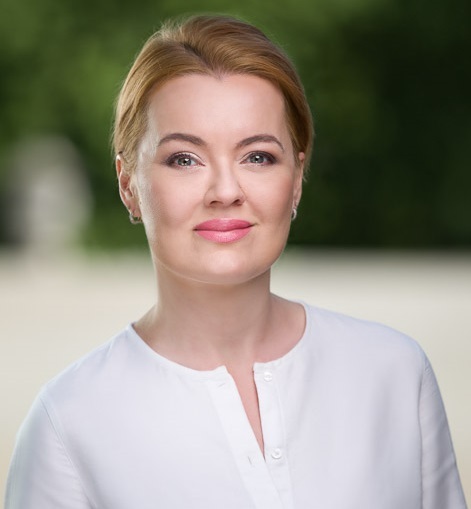 She is responsible for building cooperation models between financial corporations and fintech start-ups, particularly in frames of the open banking and payments projectsas well as drivinginnovation in the European payments ecosystem.Anna is involved in the international fintechproject (PwC CEE Startup Collider, Equitech Ventures). She is an Expert at the Banking Technologies Forum (Cognitive Banking Group) at the Polish Bank Association. 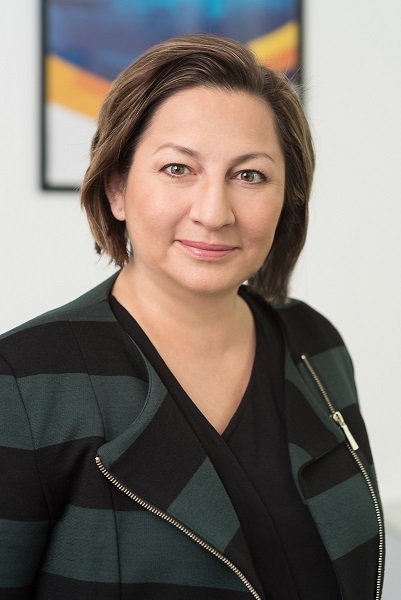 Anna is an Ambassador and Advisor for the Emerging Payments Association CEE, as well as an Expert Member of the Jury at the EU European Innovation Council (SME Instrument), and of the Jury of the CEE Capital Markets & FinTech Awards. Speaker and Advisory Board member at international FinTech/Payments conferences. Featured in the “TOP 20 Women in FinTech” Report (Institute of Innovative Economy, March 2017).